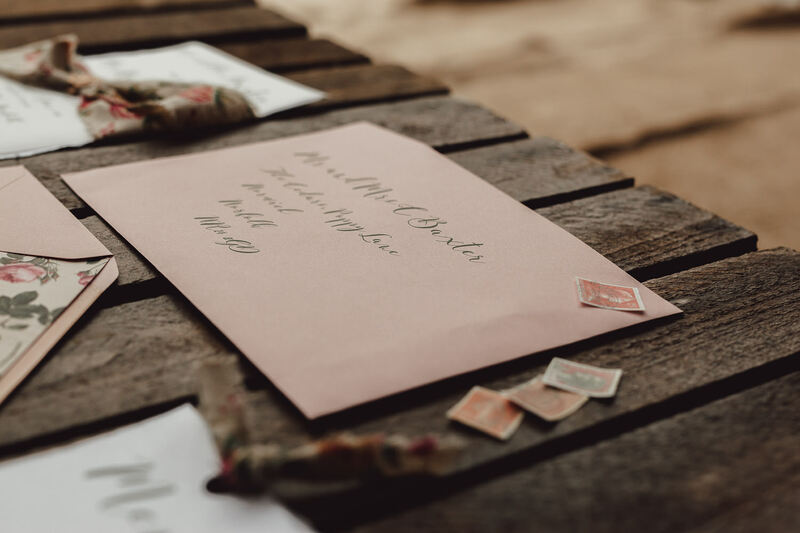 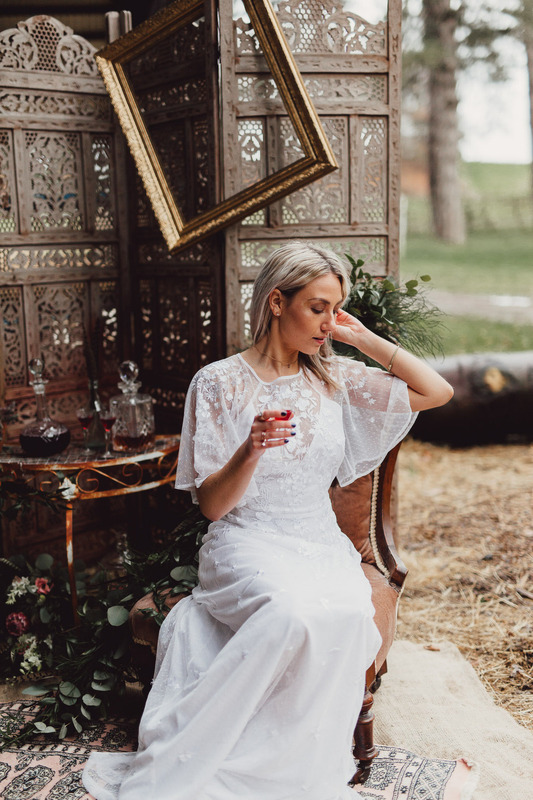 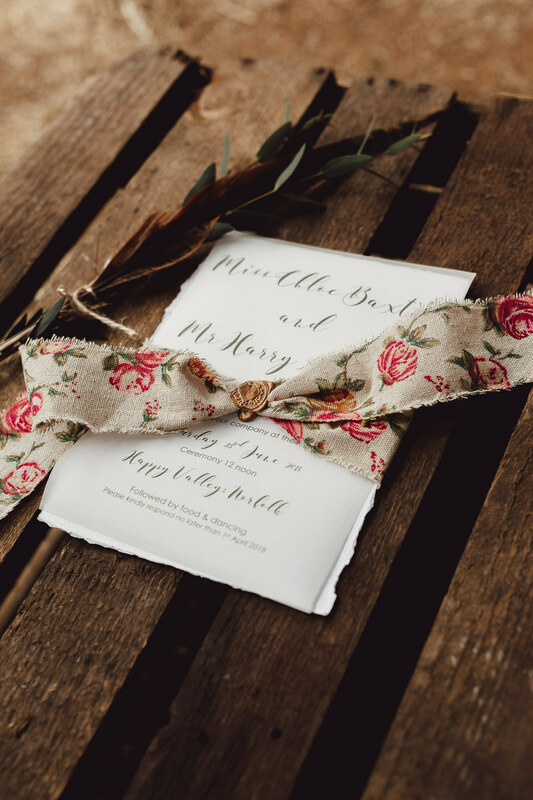 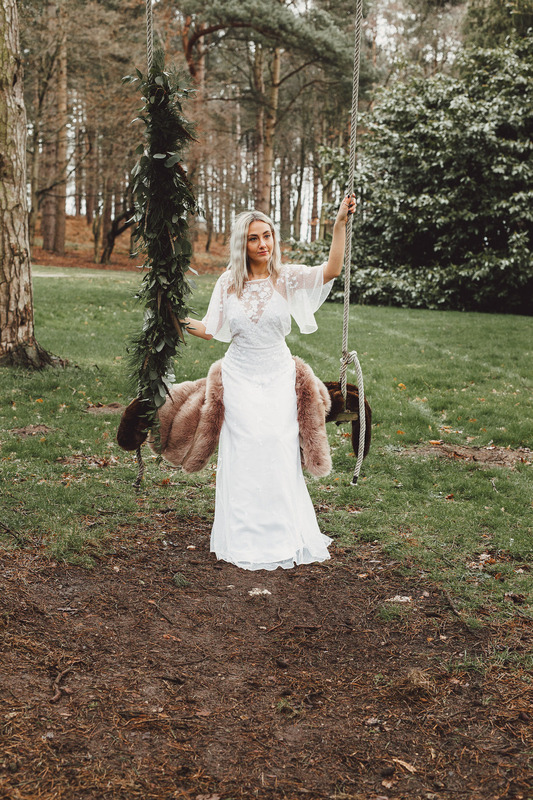 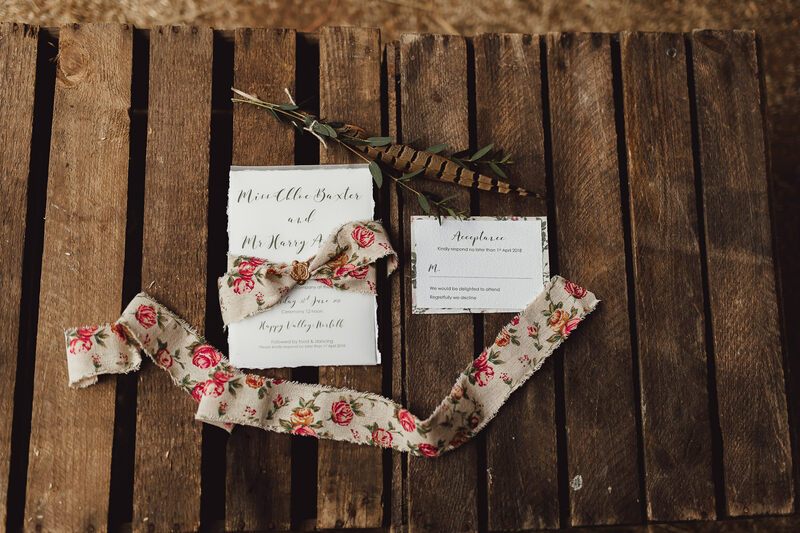 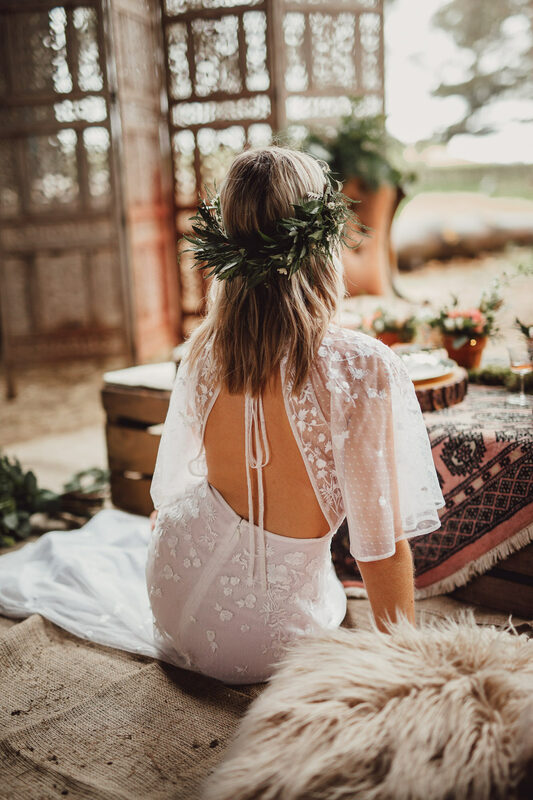 This country boho wedding aims to inspire brides to embrace in a free spirited, natural and romantic outdoor wedding. 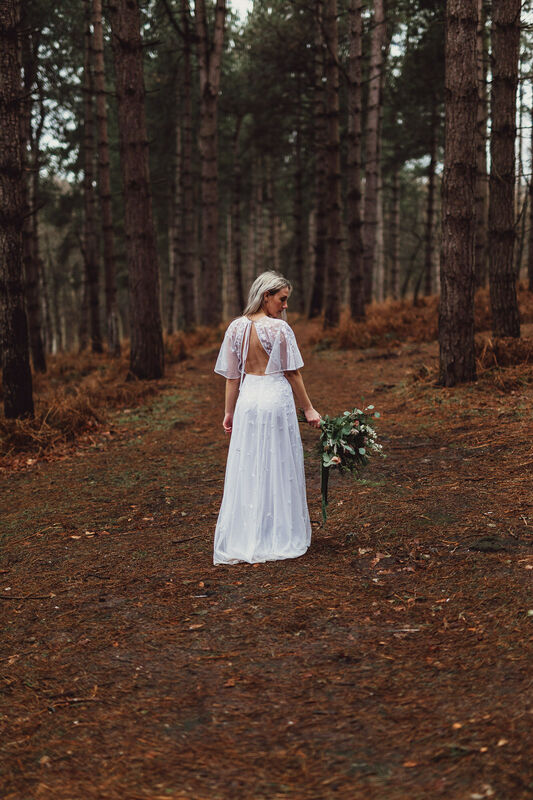 Happy Valley Norfolk provided the perfect setting for this photo shoot. 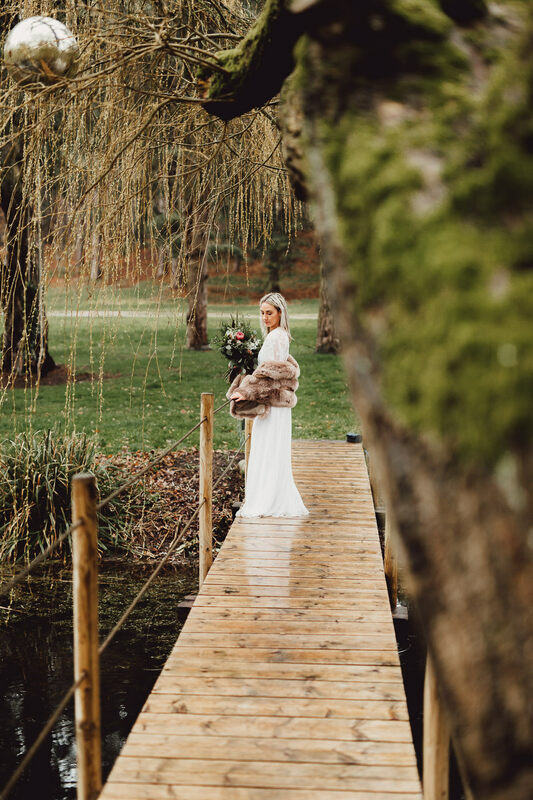 Nestled in Norfolk’s breathtaking countryside the venue sits in 9 acres of natural woodland with a pretty lake surrounded by willow trees. 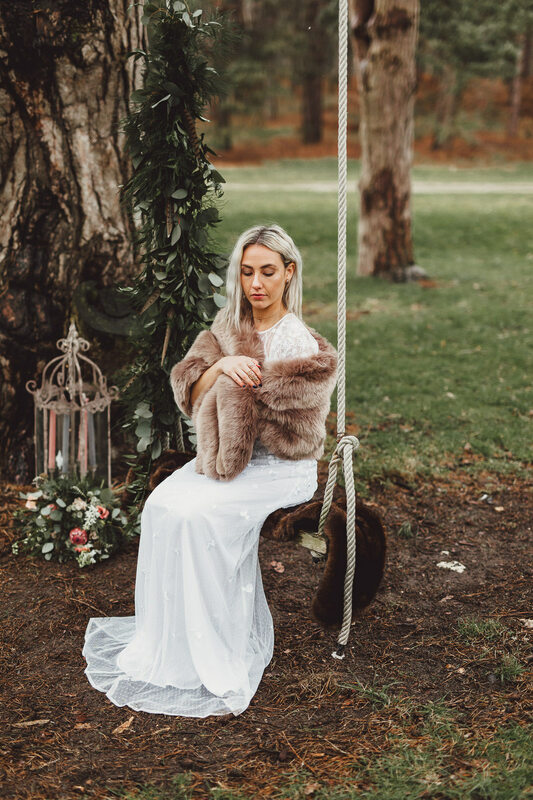 A truly magical place, providing the perfect setting to capture these images. 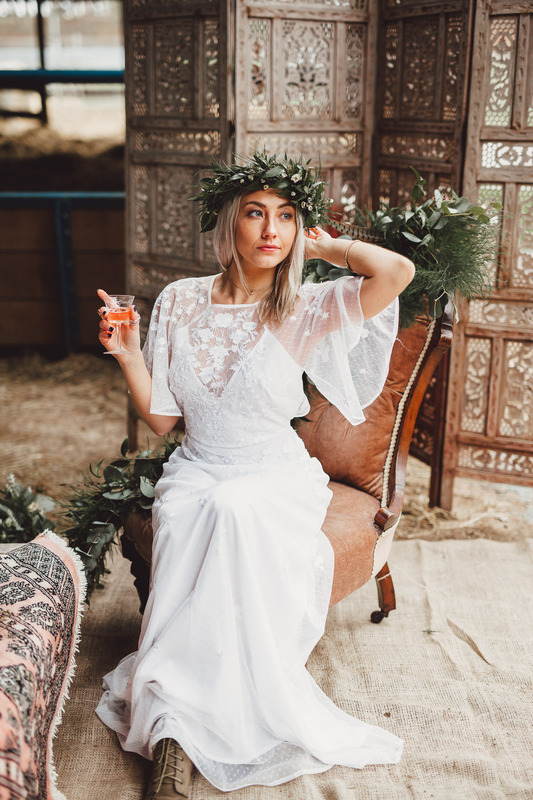 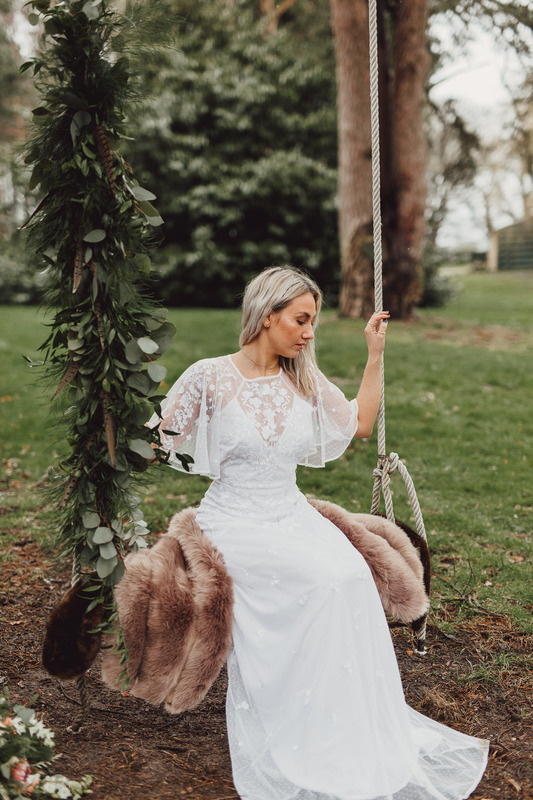 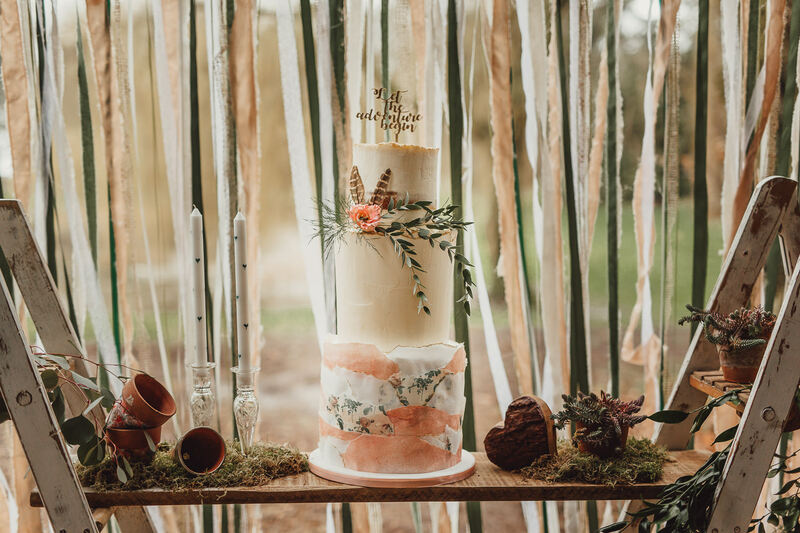 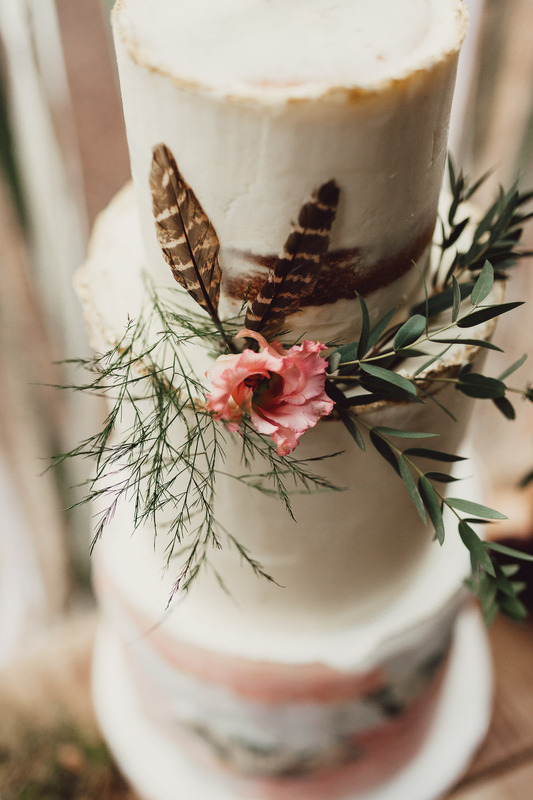 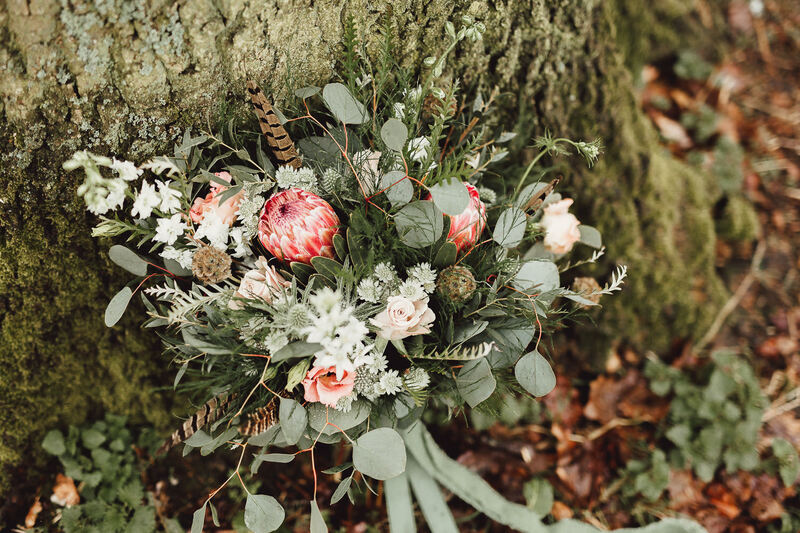 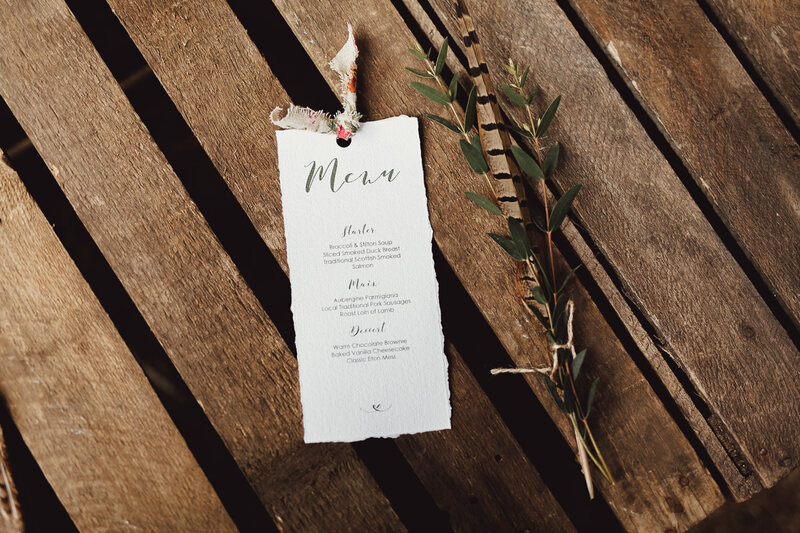 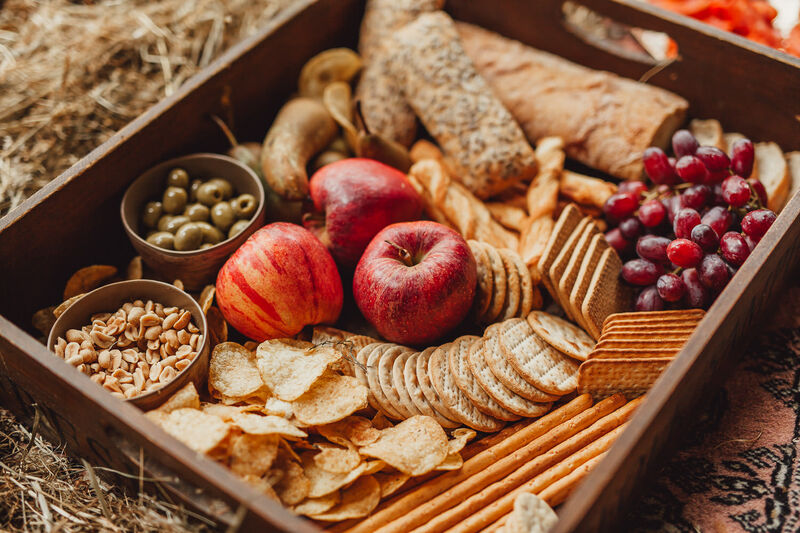 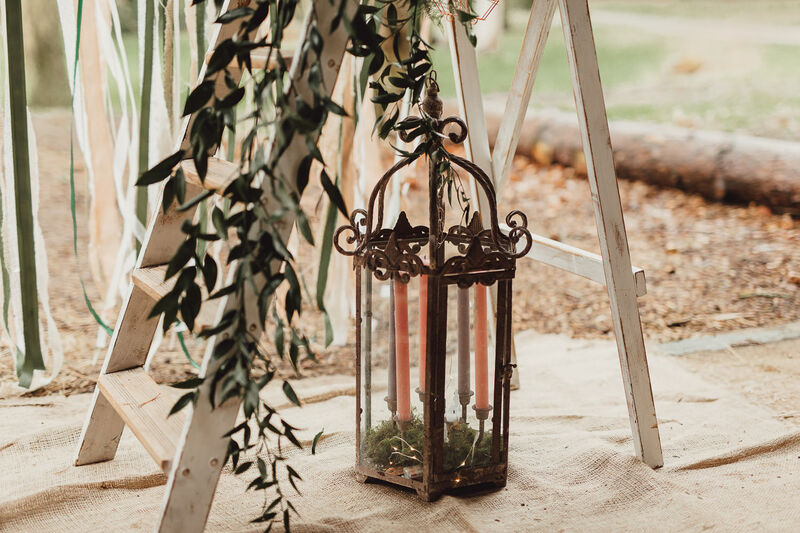 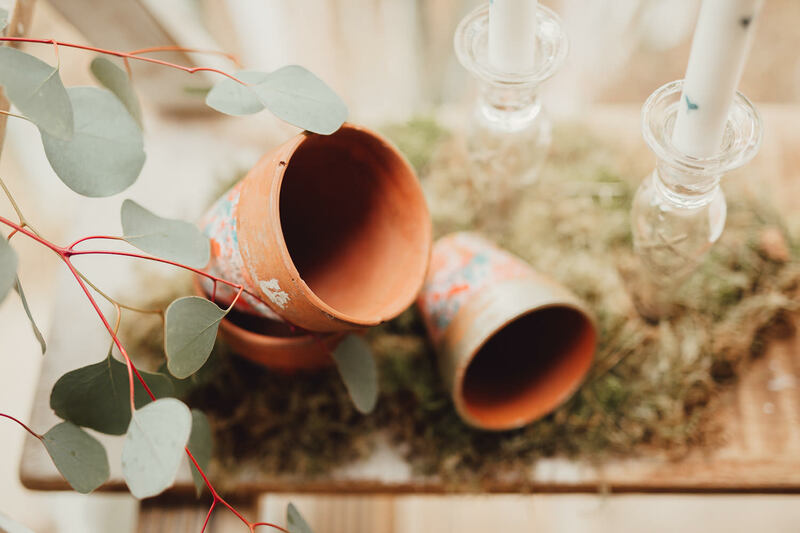 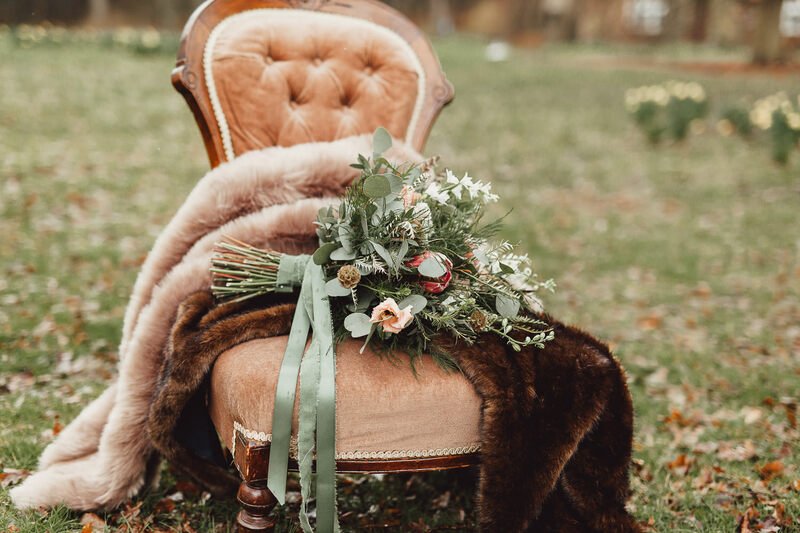 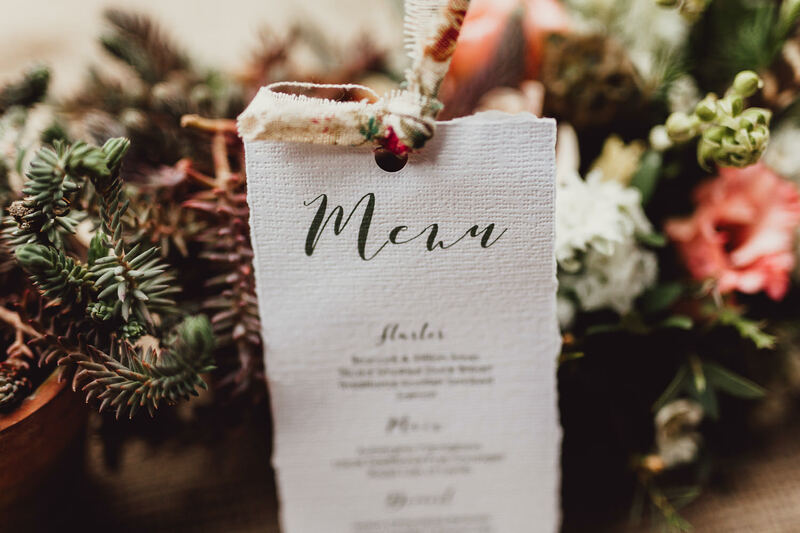 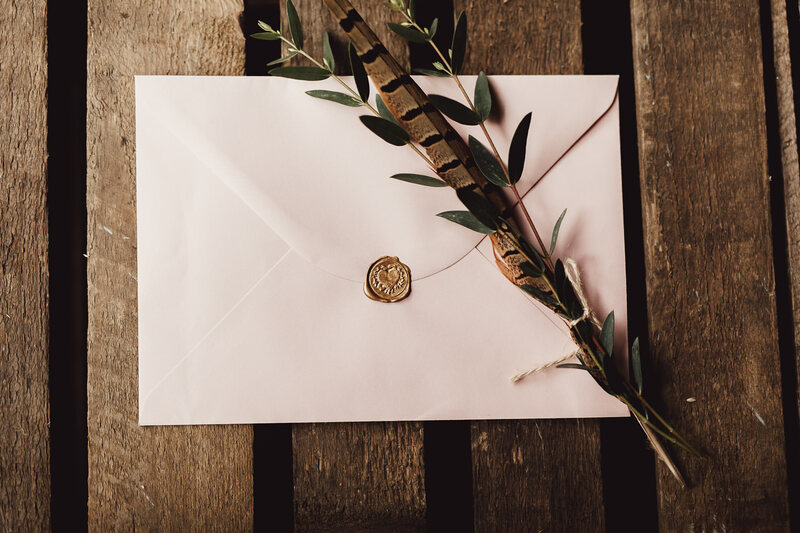 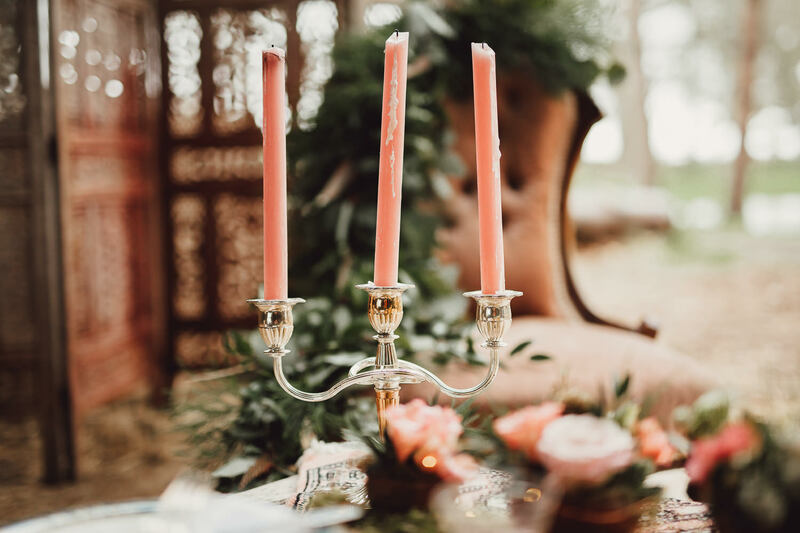 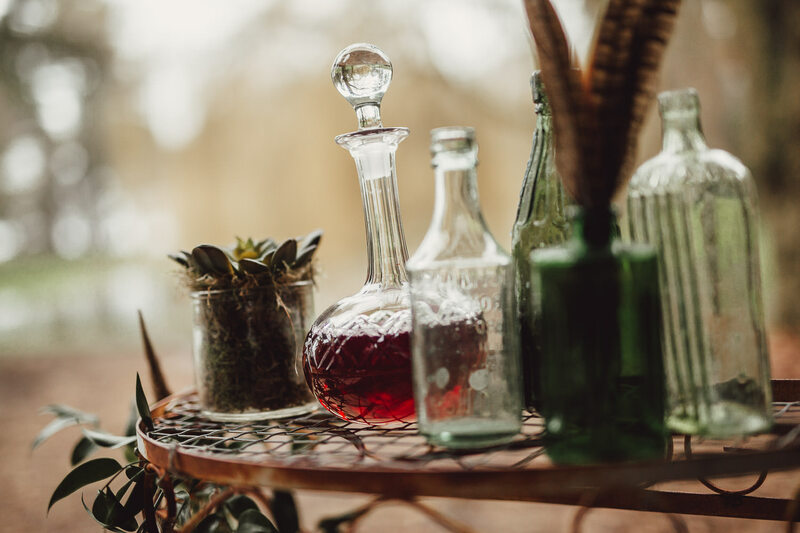 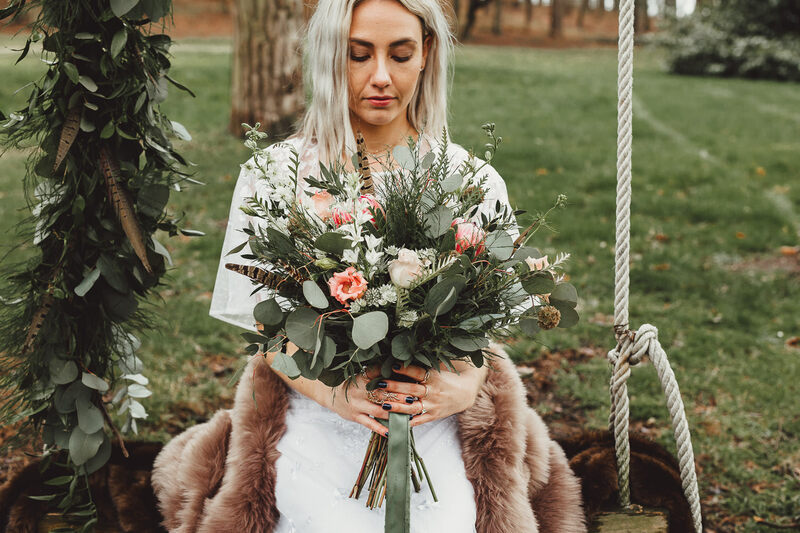 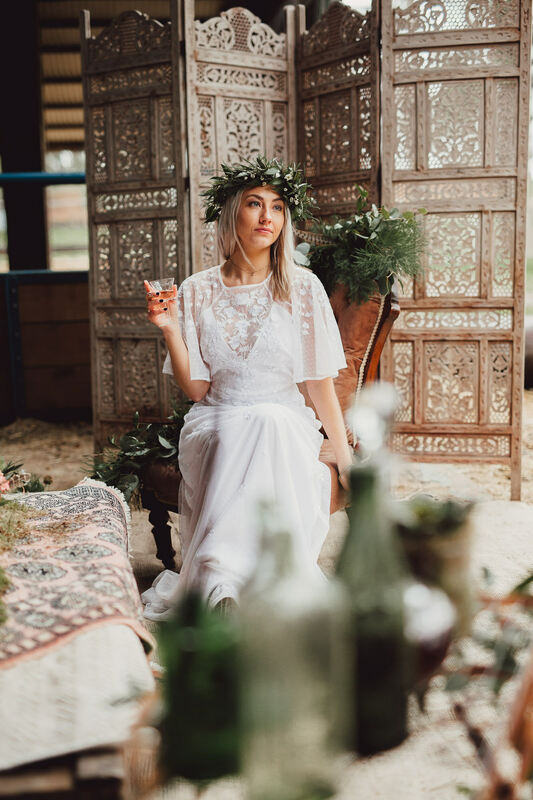 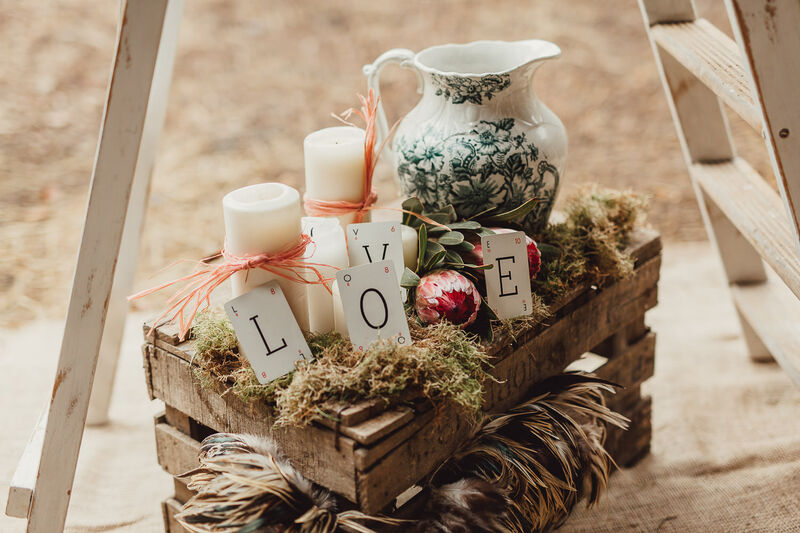 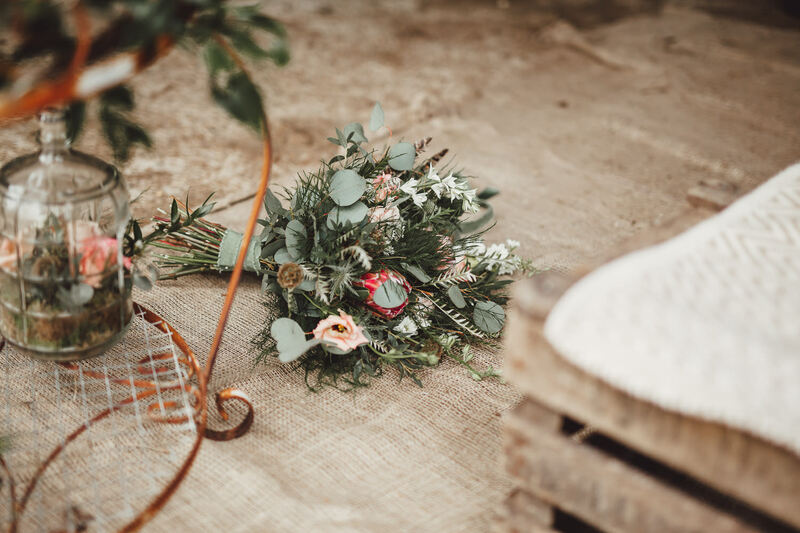 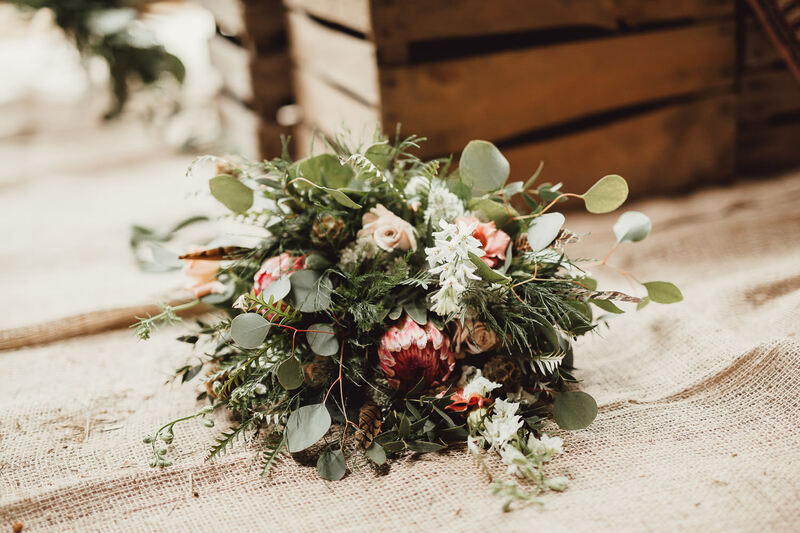 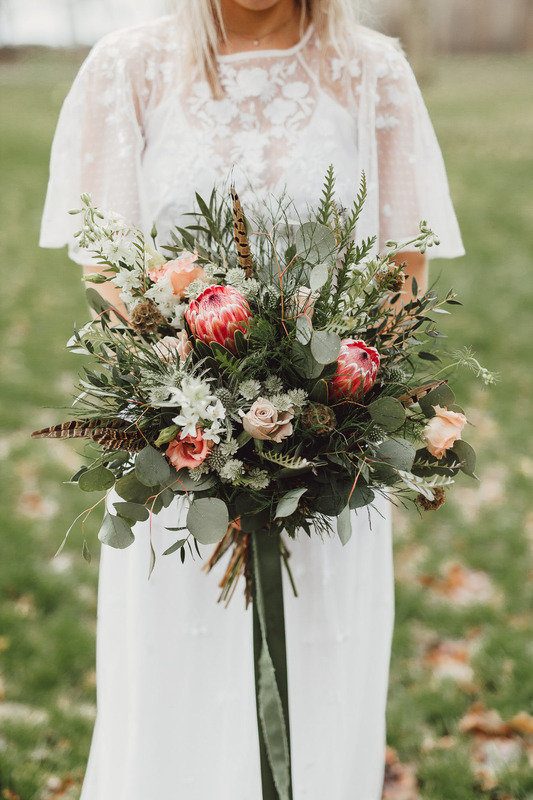 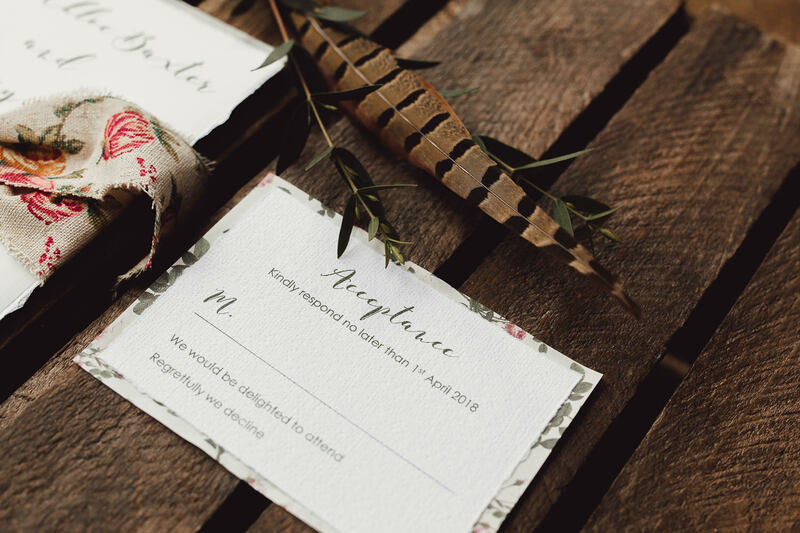 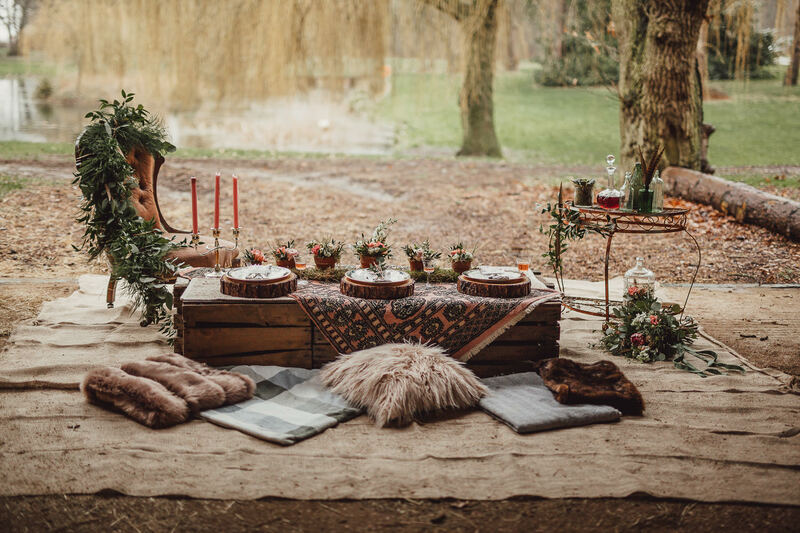 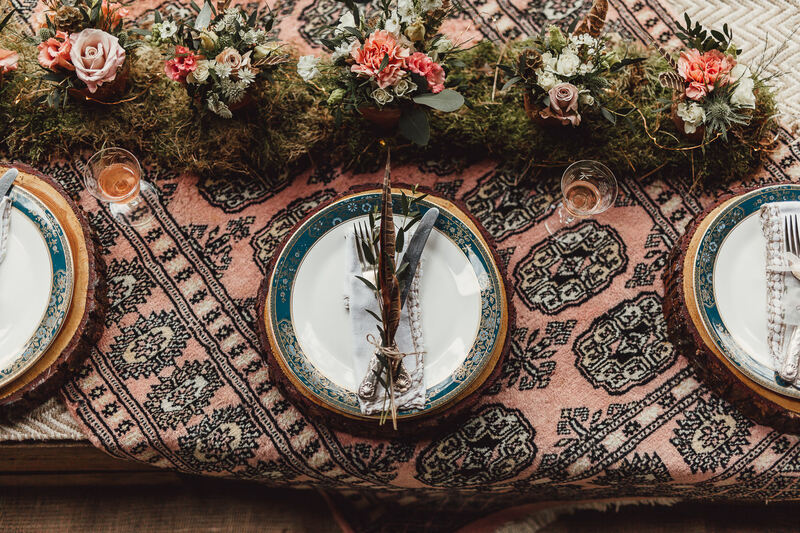 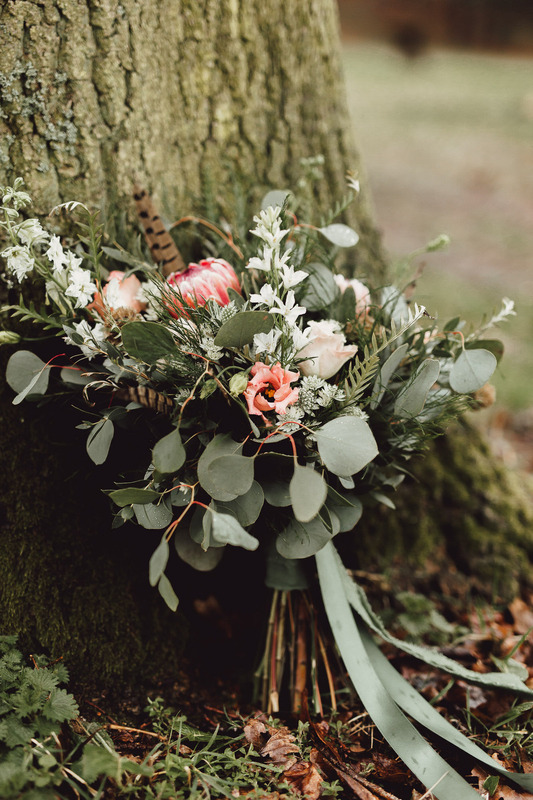 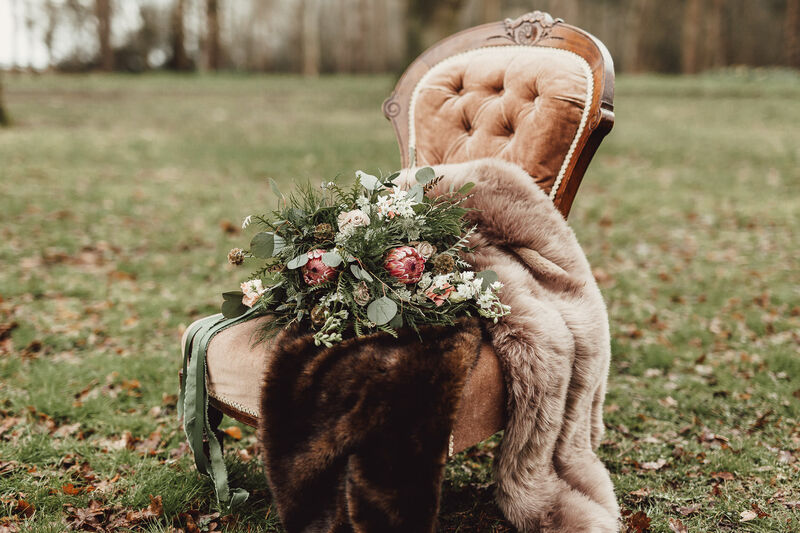 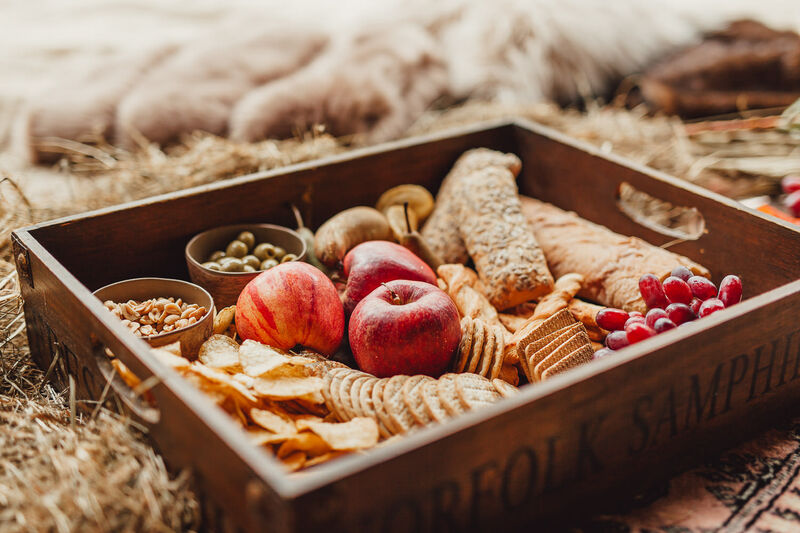 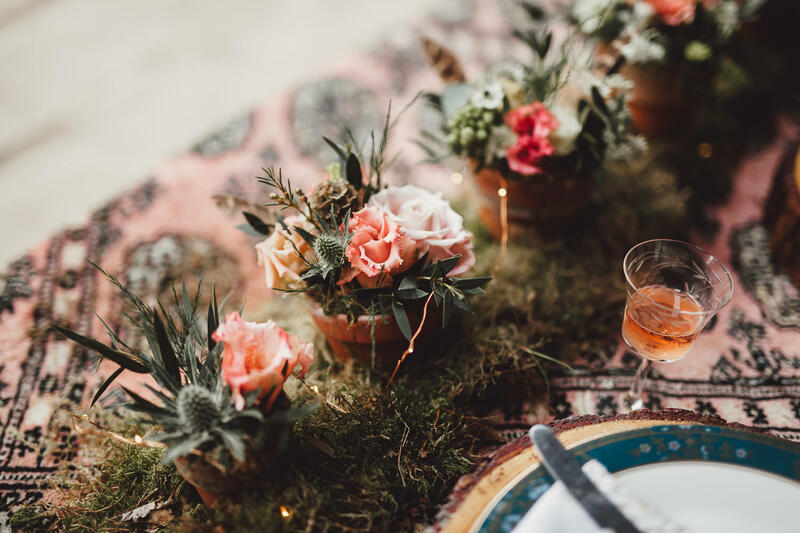 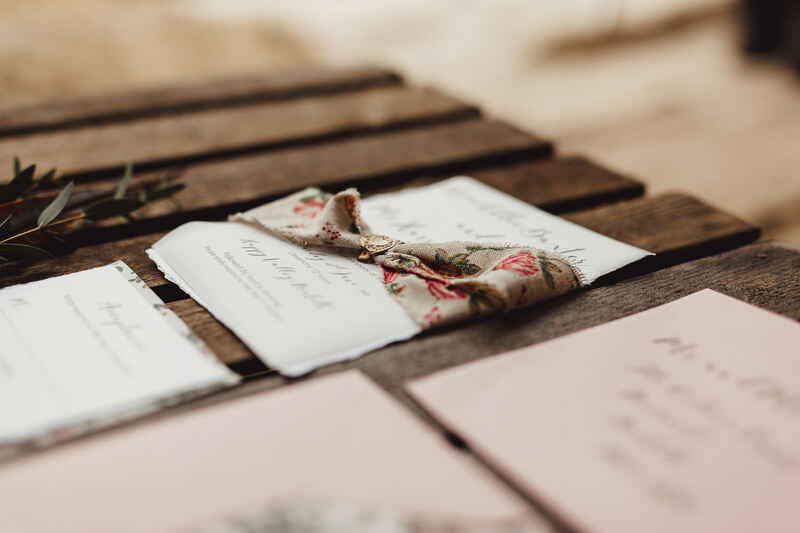 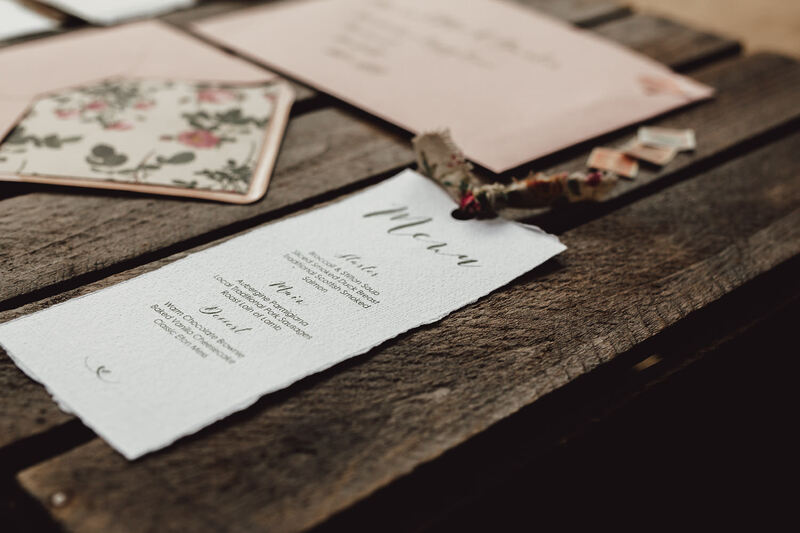 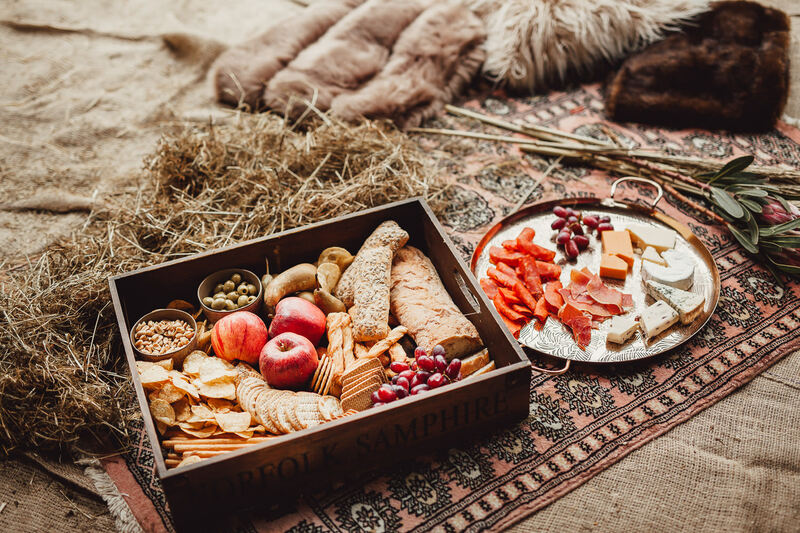 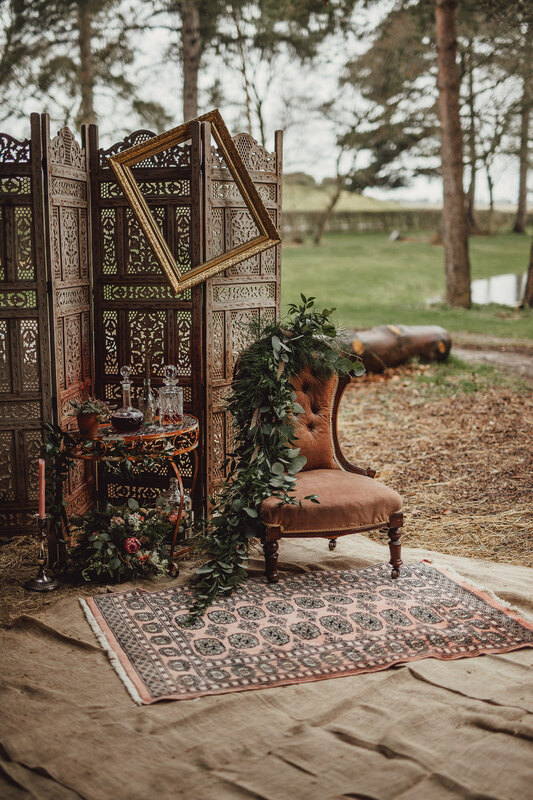 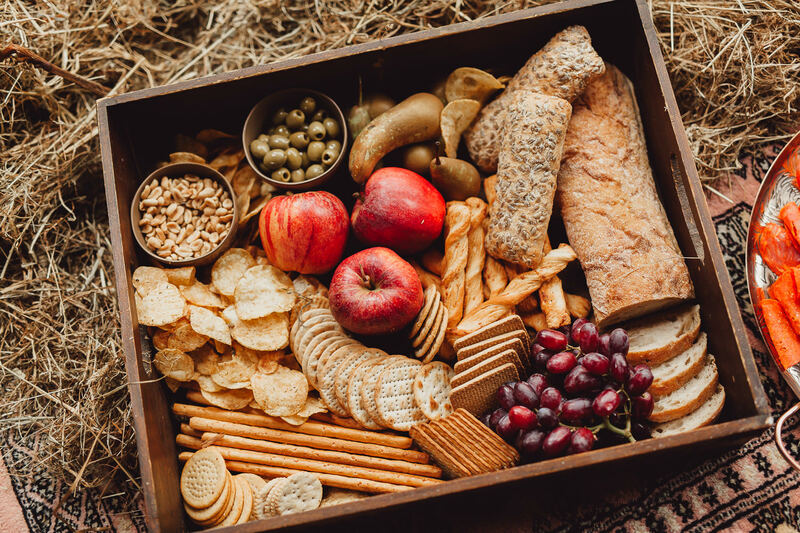 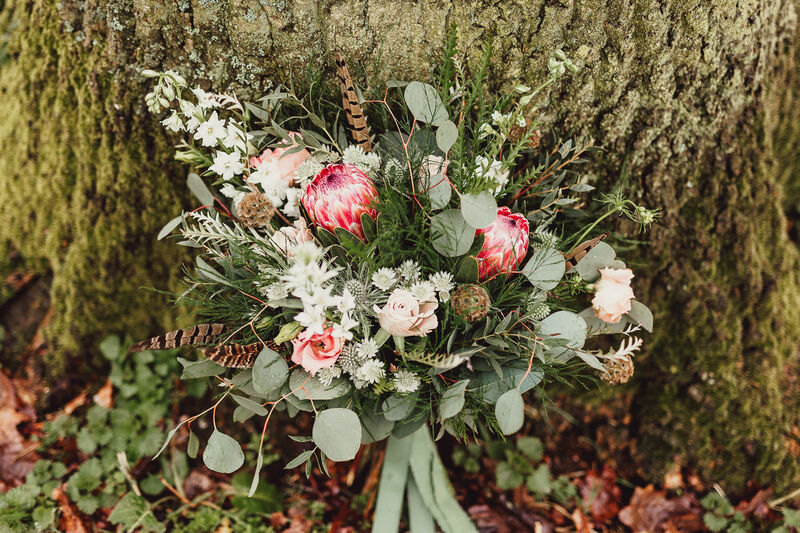 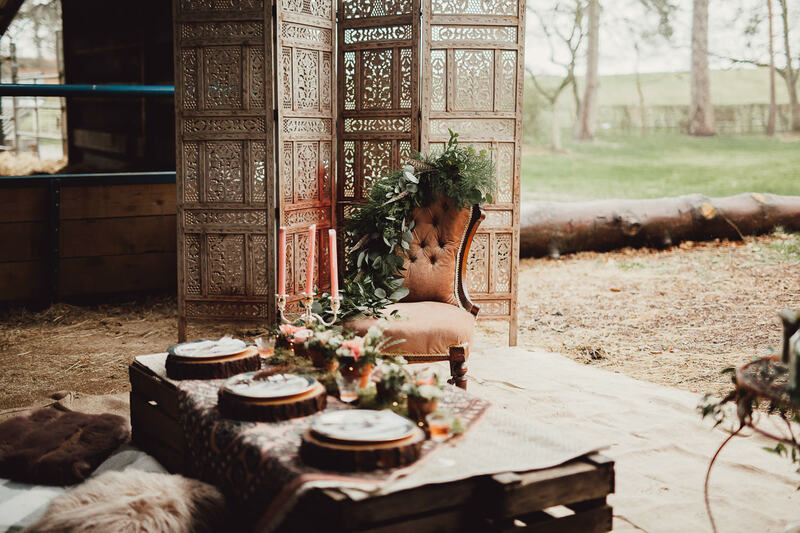 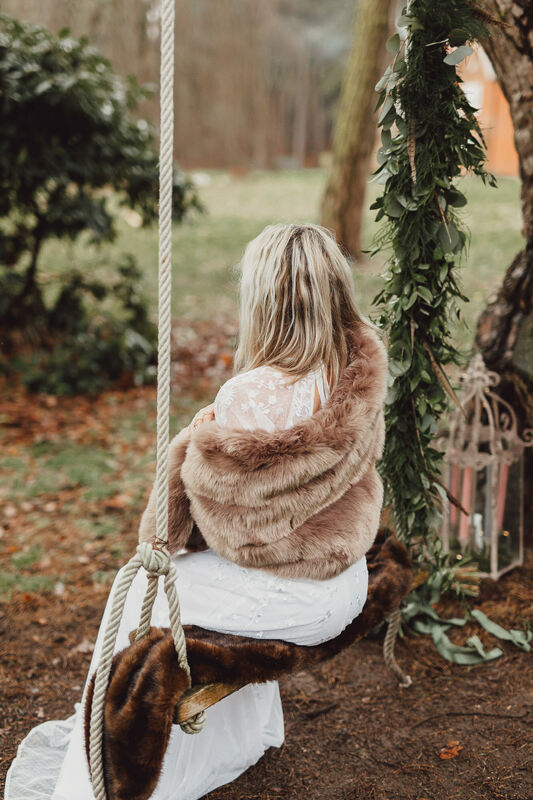 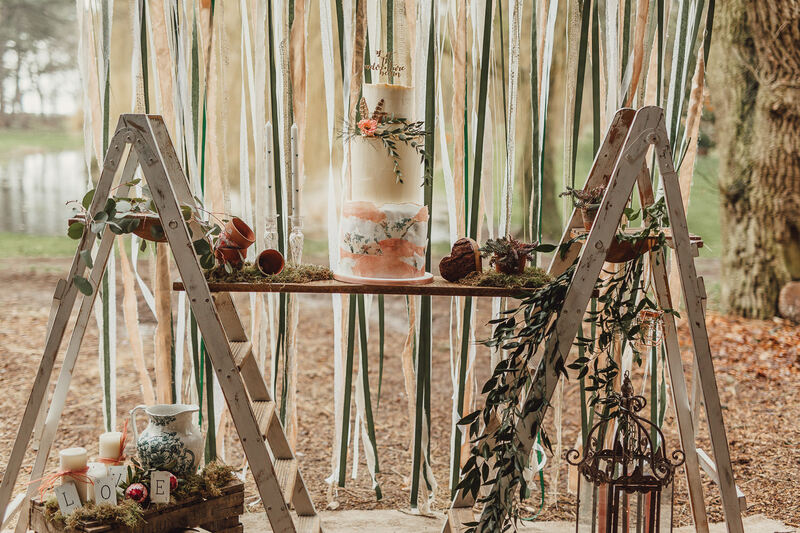 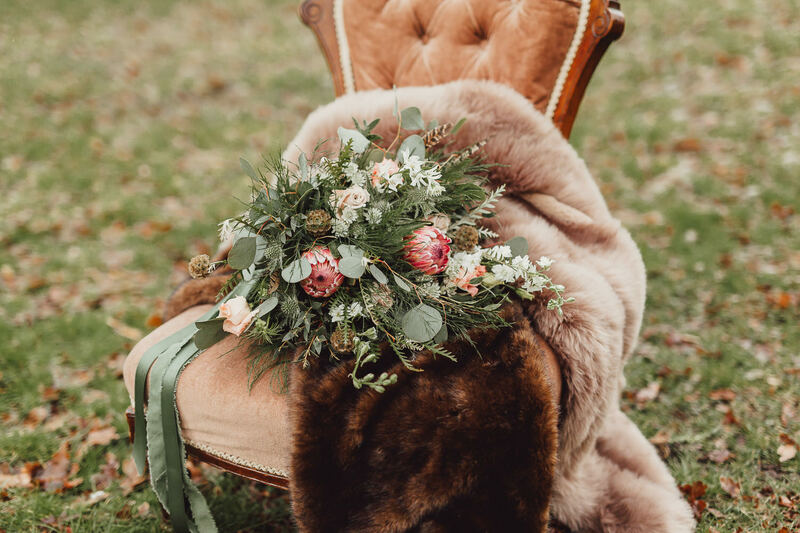 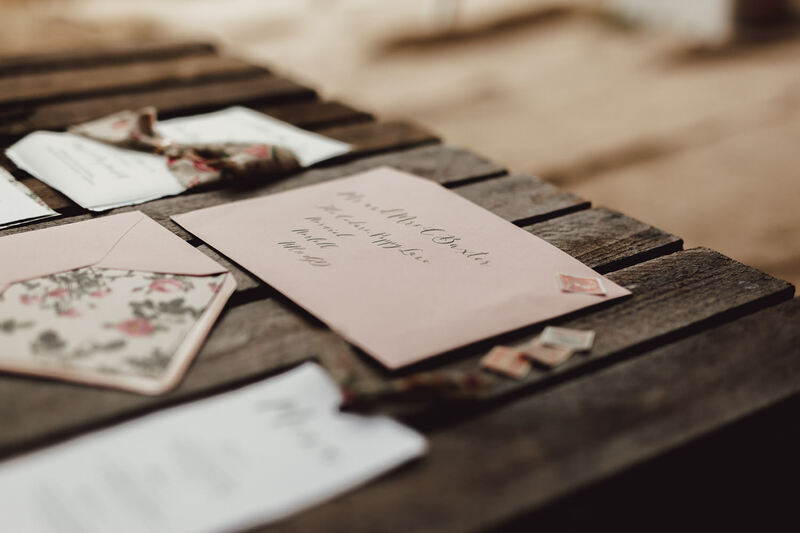 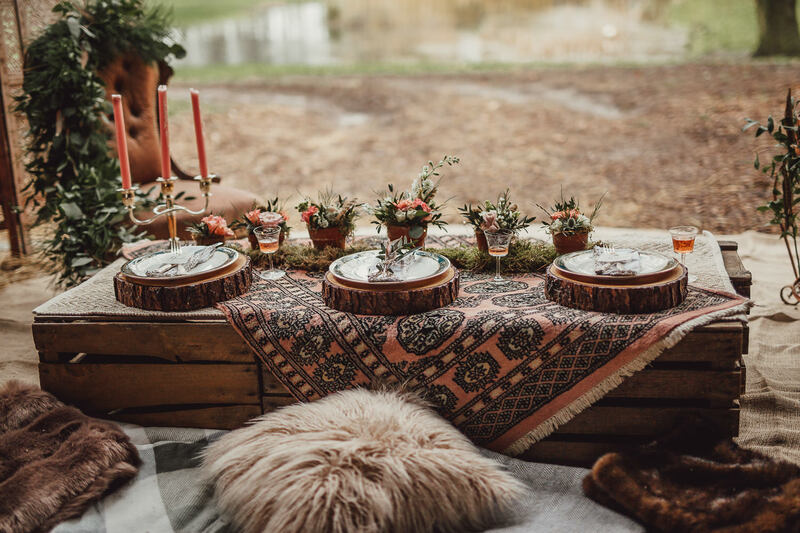 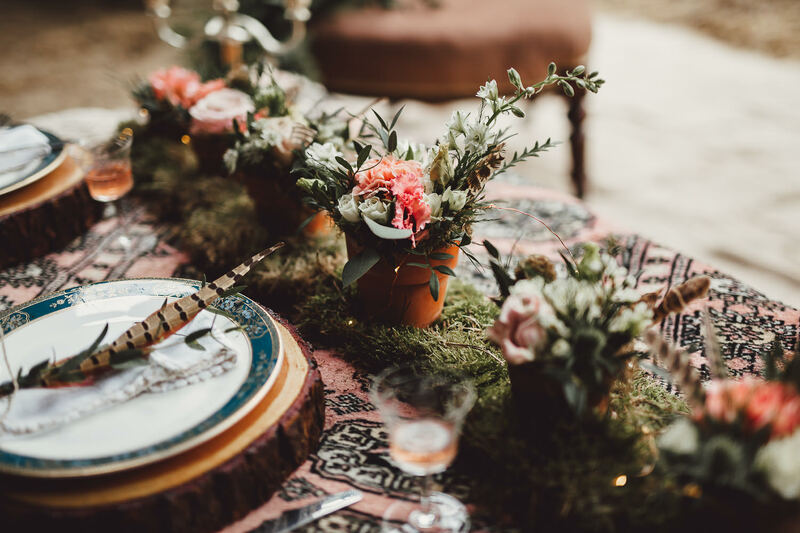 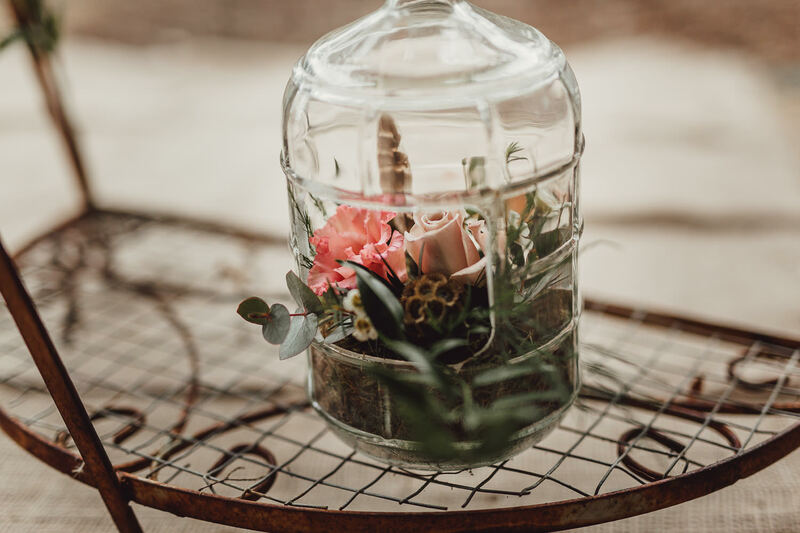 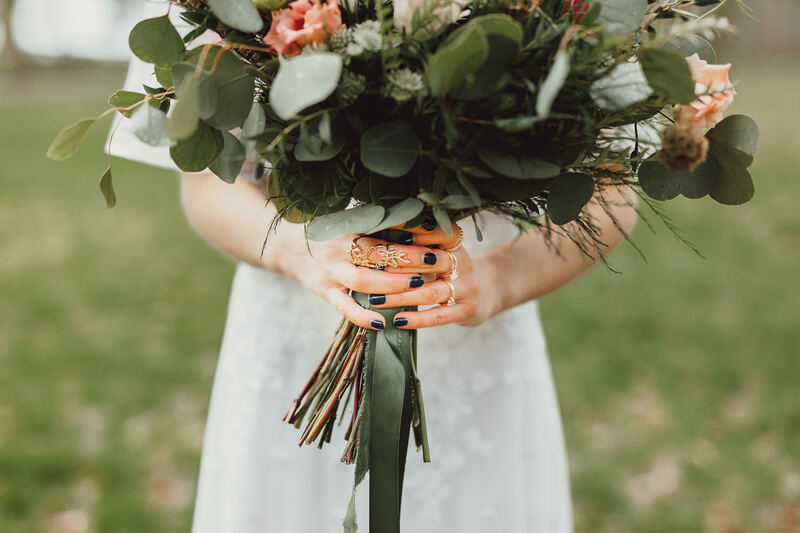 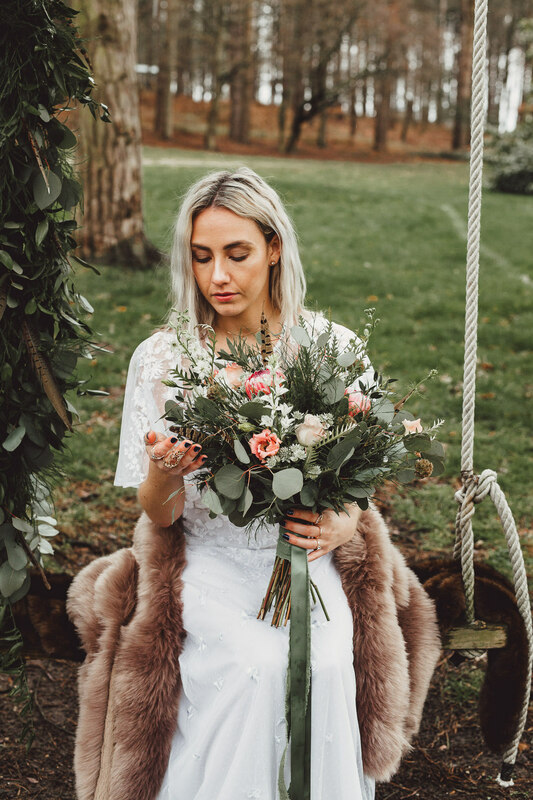 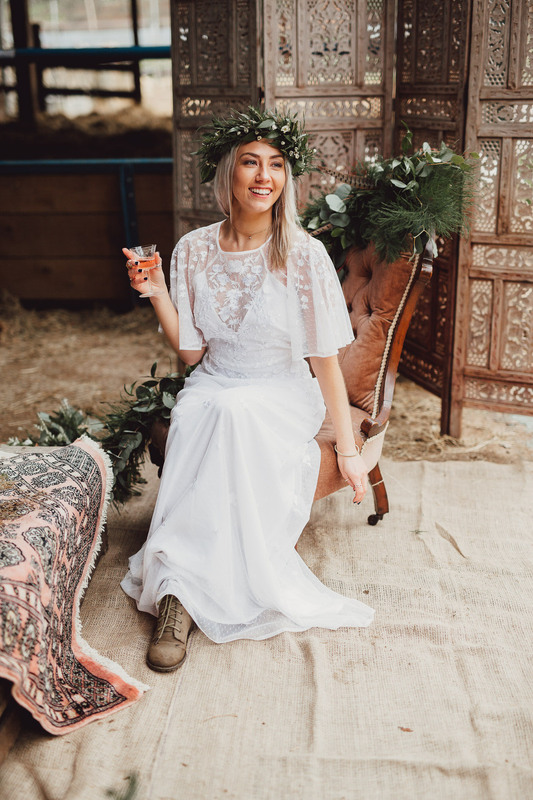 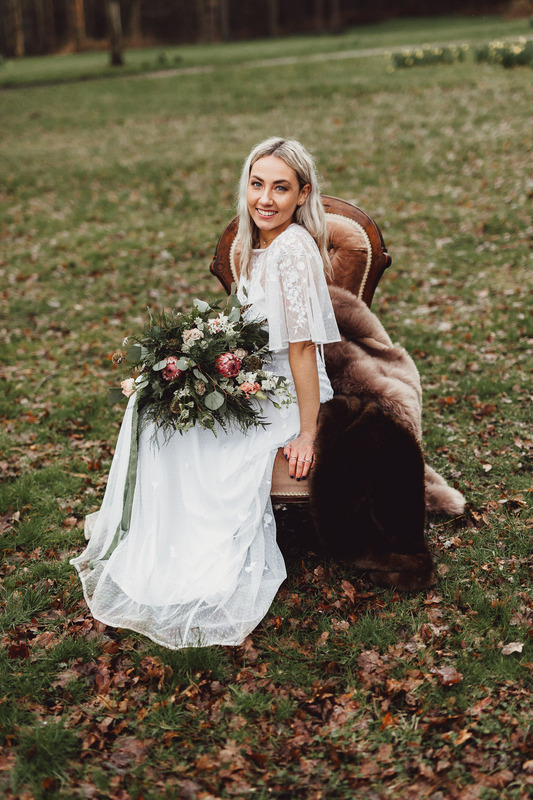 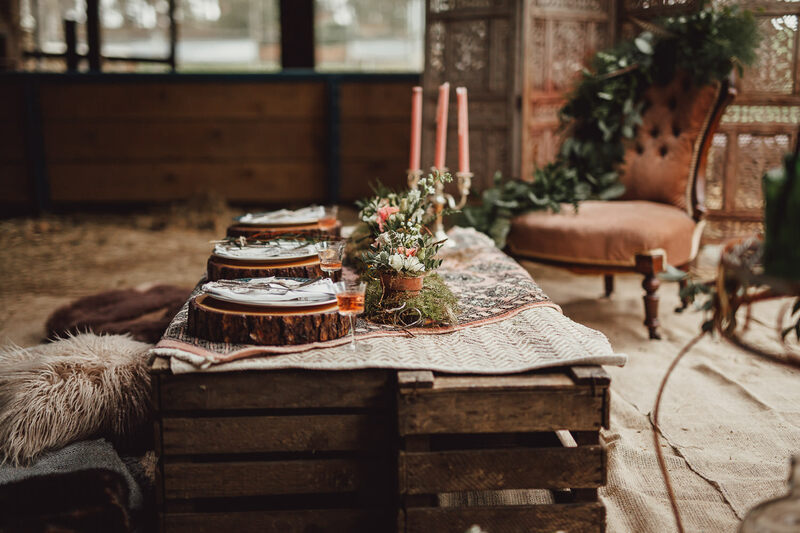 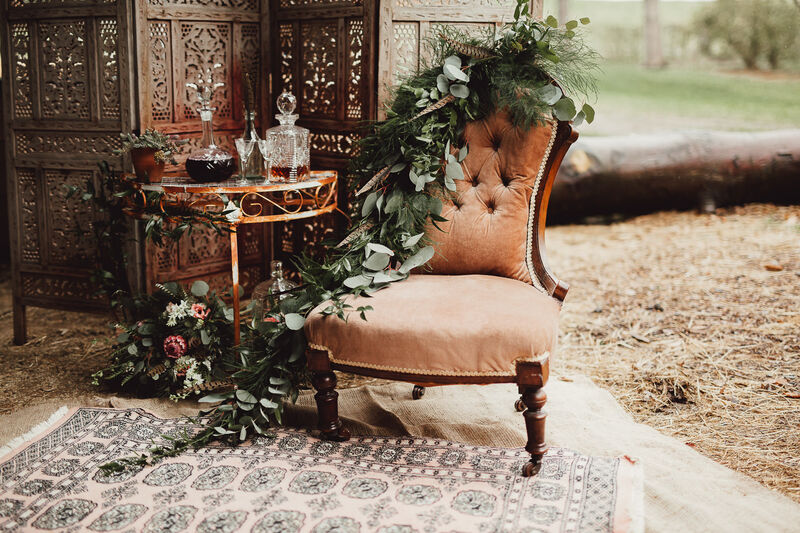 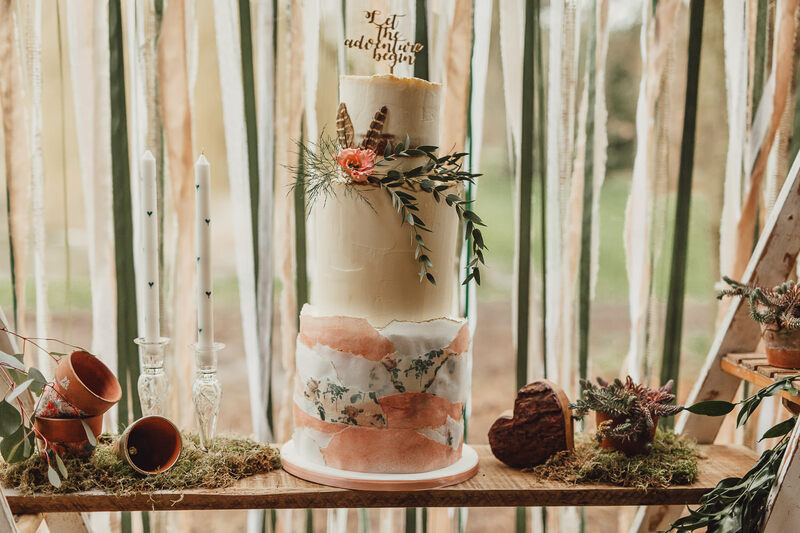 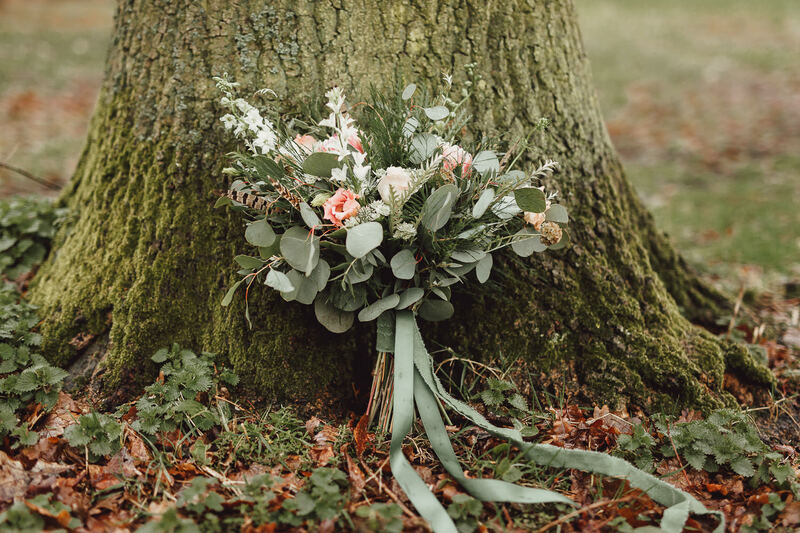 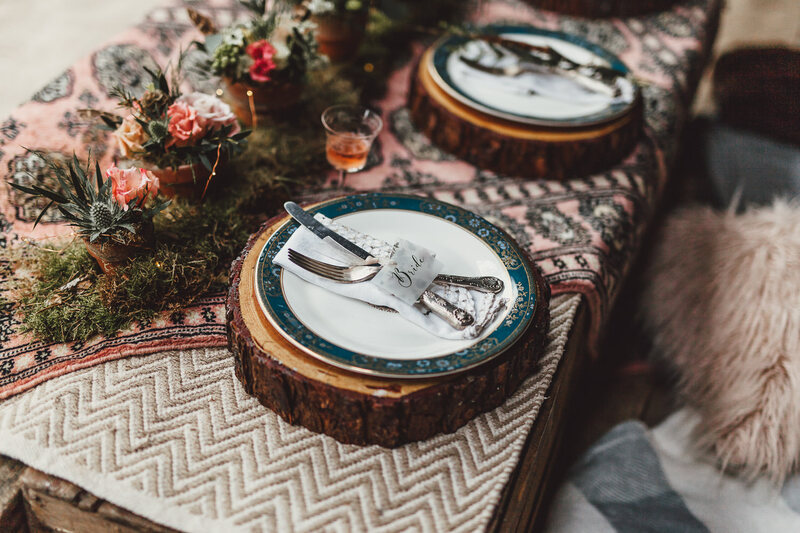 Fox & Fern Florist wanted to bring a dramatic foliage based feel to the theme, using different textures and tones to create a natural bohemiam vibe and connect with the woodland surroundings. 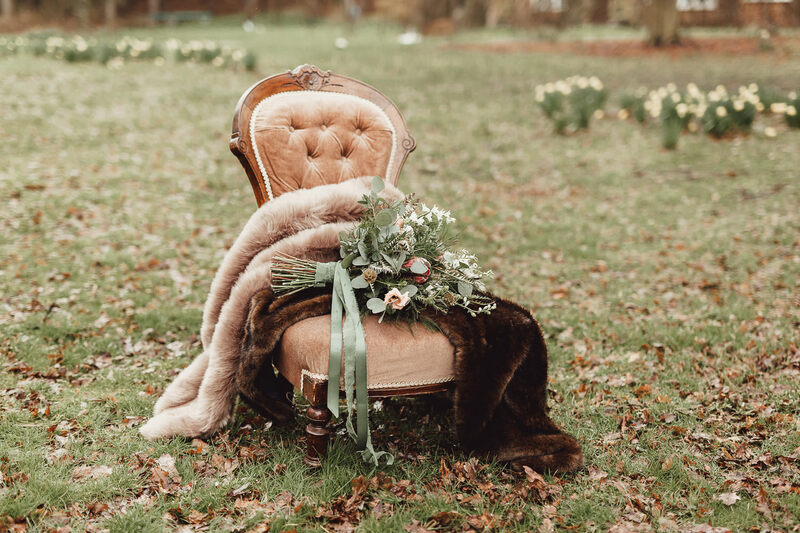 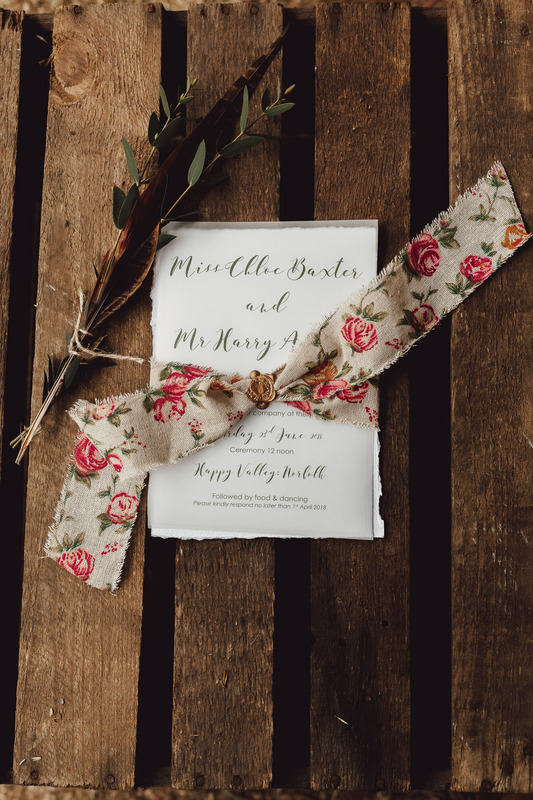 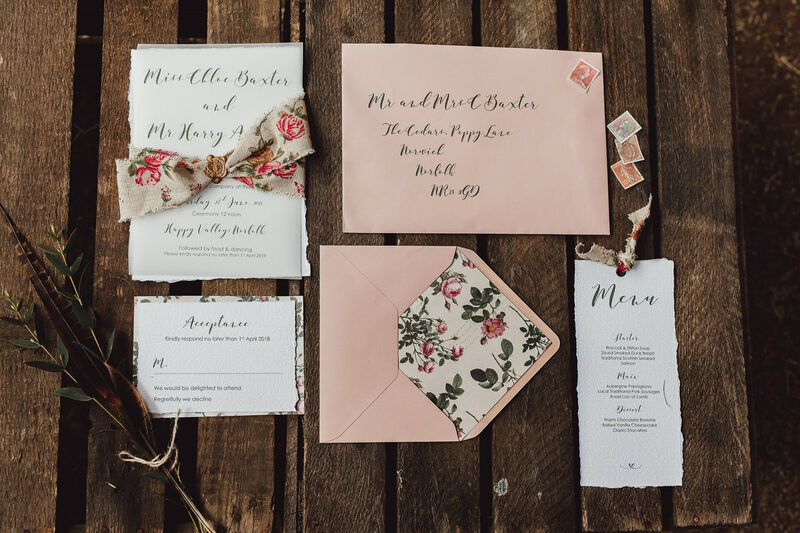 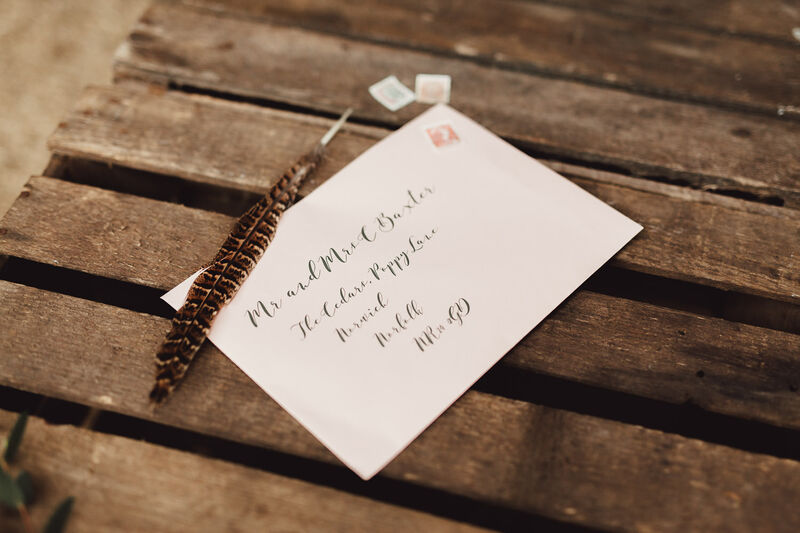 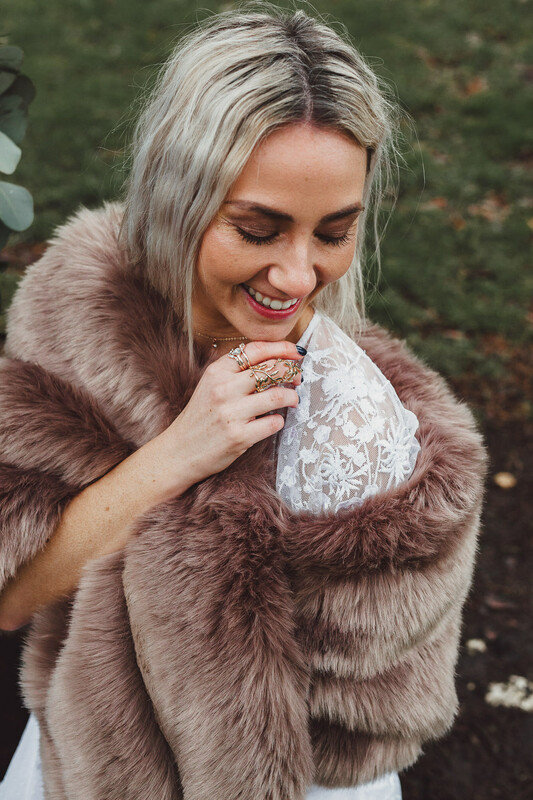 A touch of blush in the flowers has created a romantic feel which has been complimented with the use of pheasant feathers to complete the look. 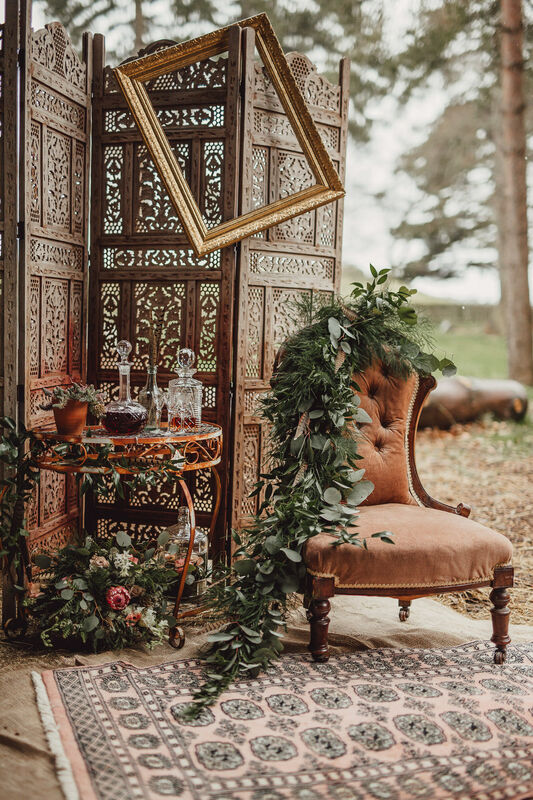 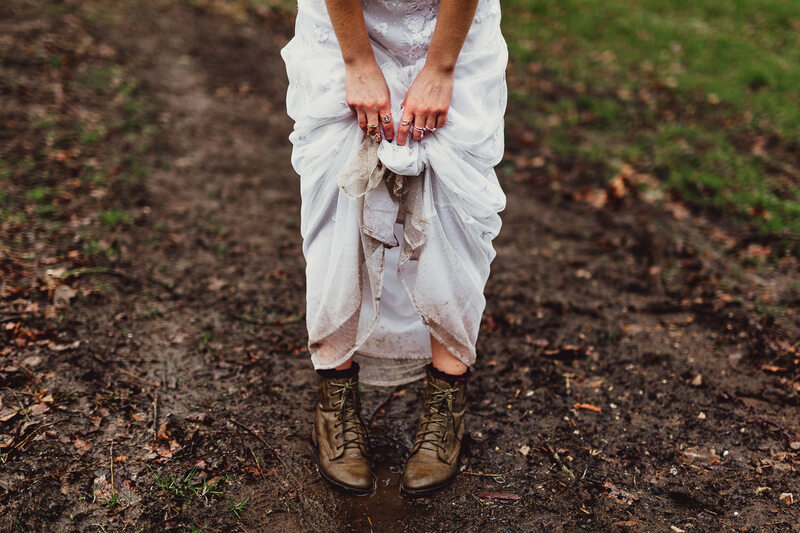 Little Jem weddings inspiration for this shoot was to create an earthy natural and romantic visual style. 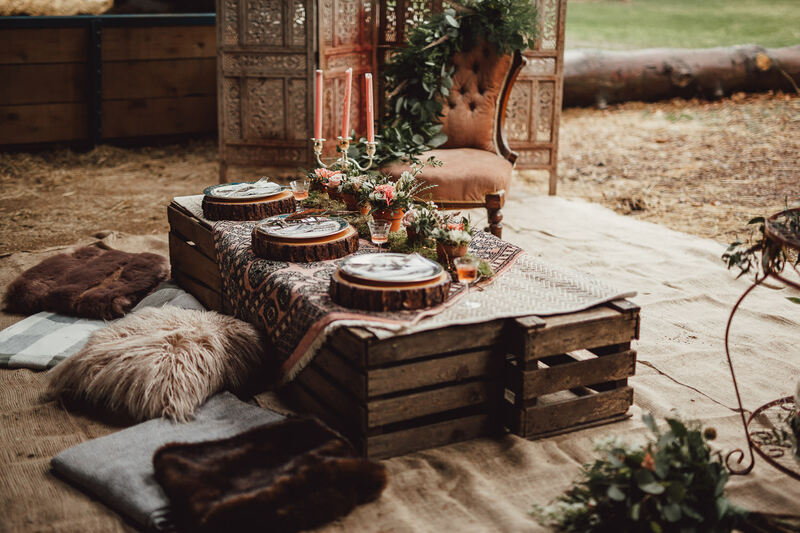 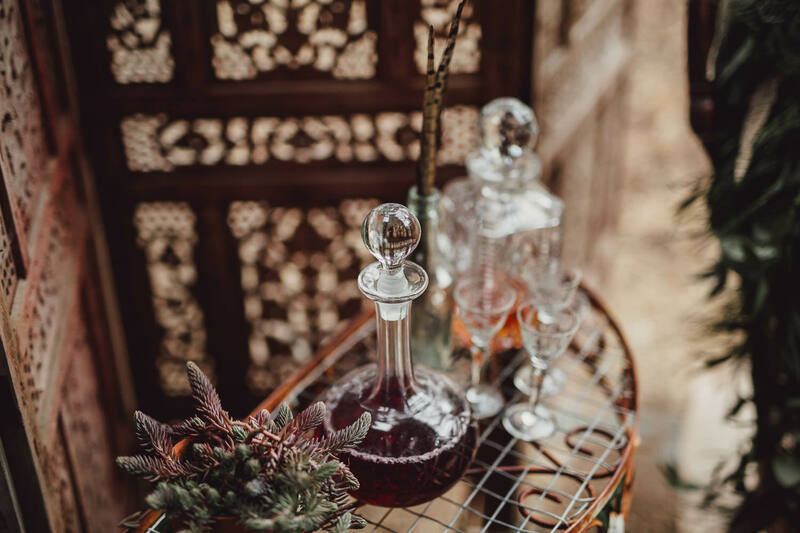 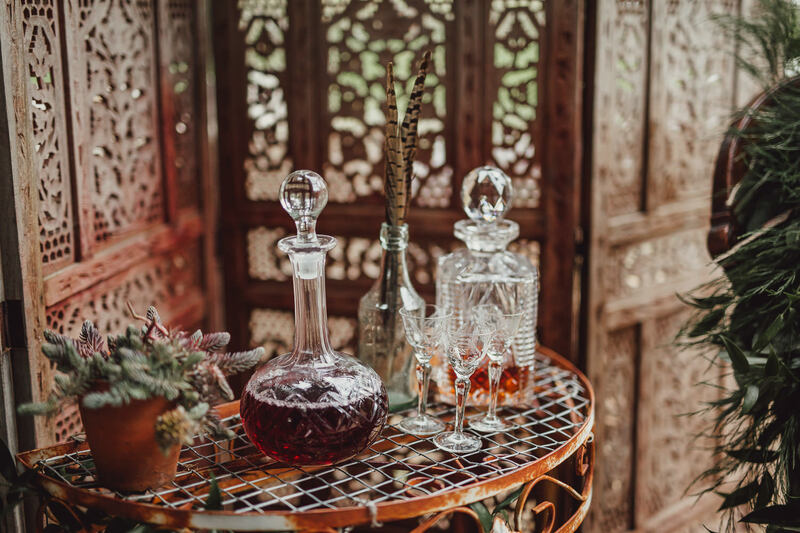 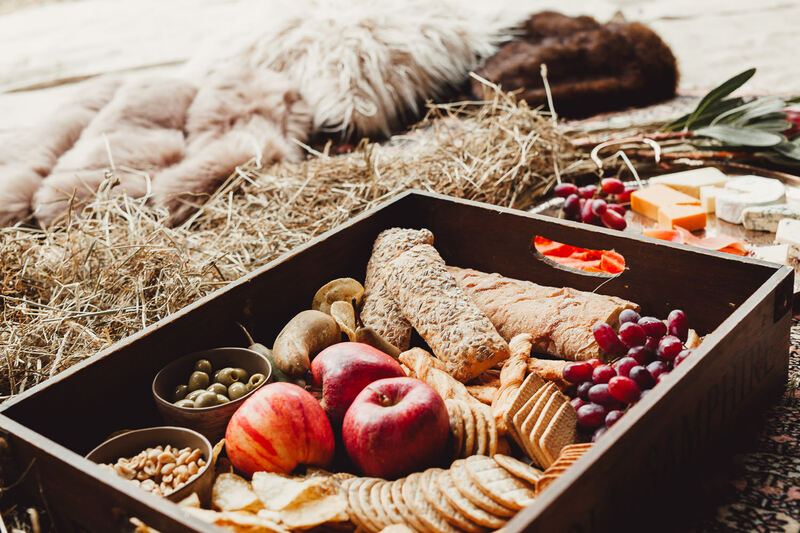 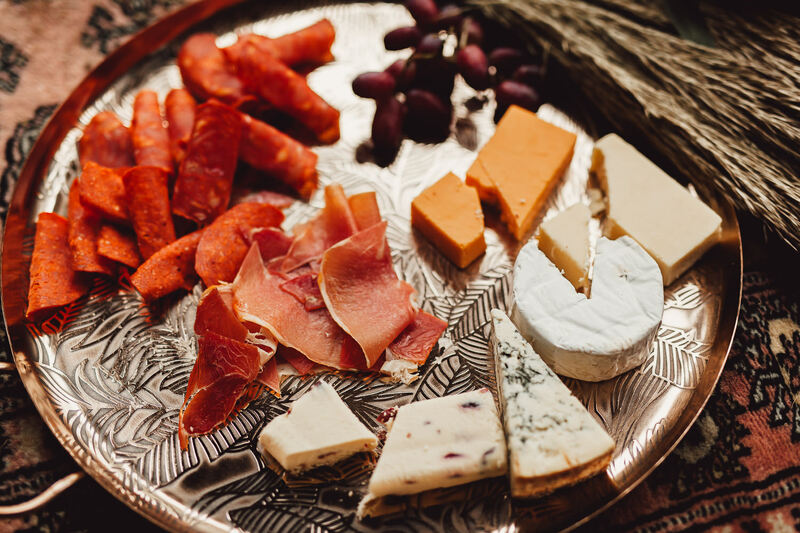 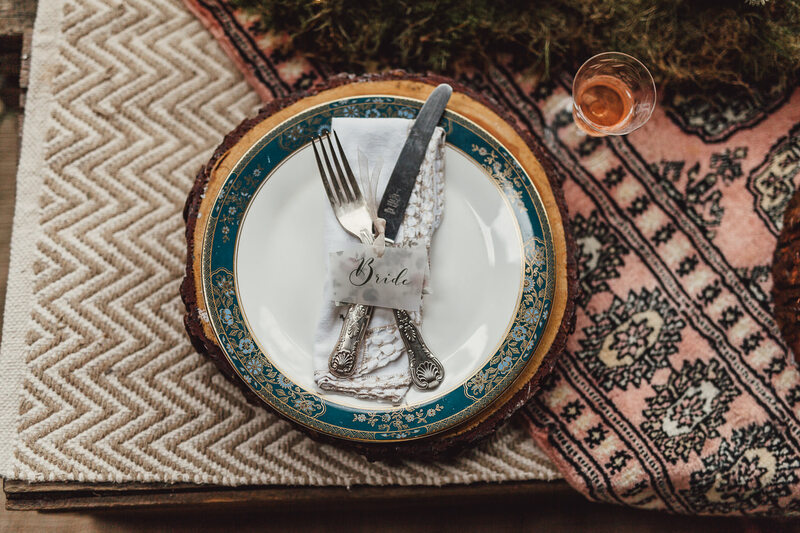 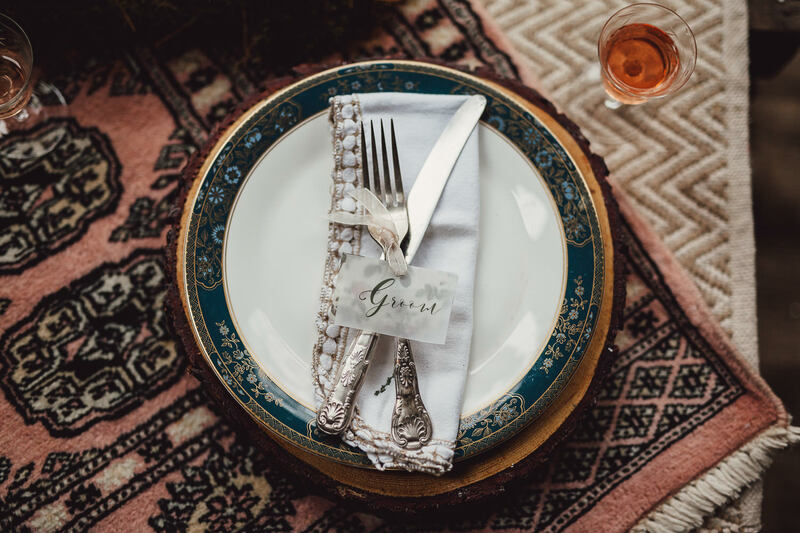 Working with their eclectic range of props they were able to showcase three different looks that can be used in an everyday wedding. 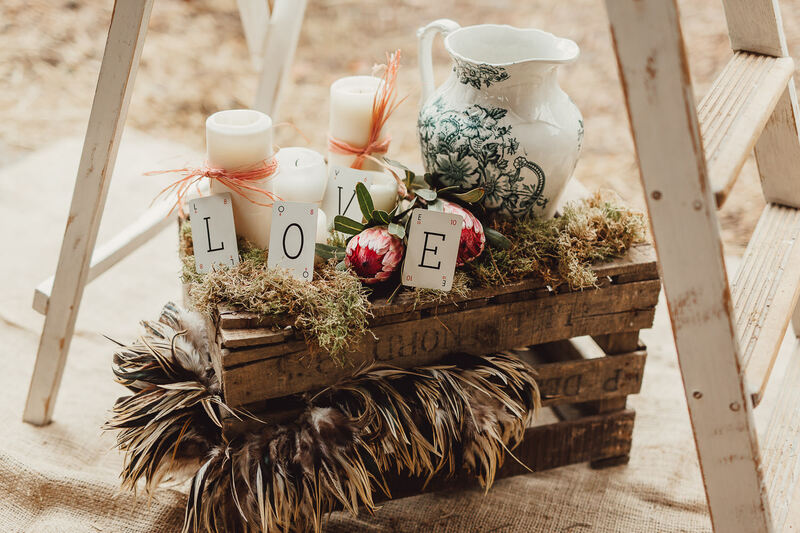 These styles would suit an outdoor spring/summer wedding with a boho romantic vibe. 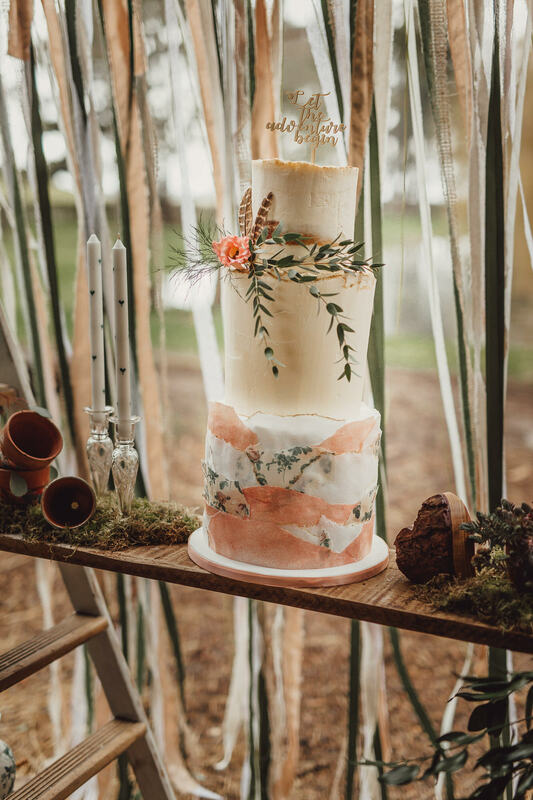 Ellie from Ellie’s cakery has created a beautiful 3 tier cake. 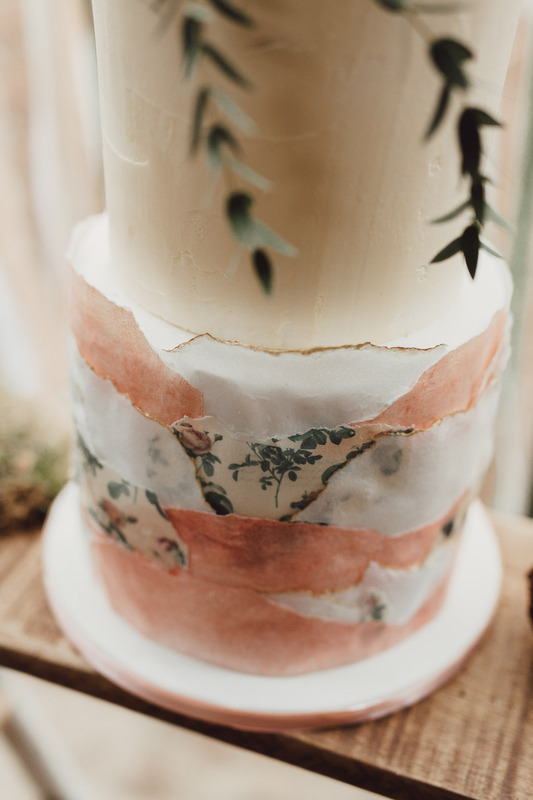 The bottom tier has a torn paper effect with textured gold edges that echoes the design within Janes stationary suite, pulling the theme together. 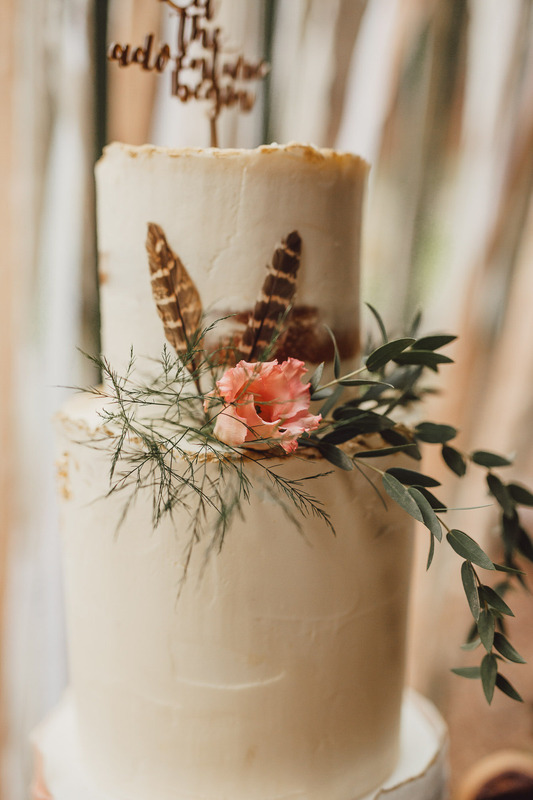 The middle tier is clean buttercream and gives a perfect blank canvas to add florals and foliage. 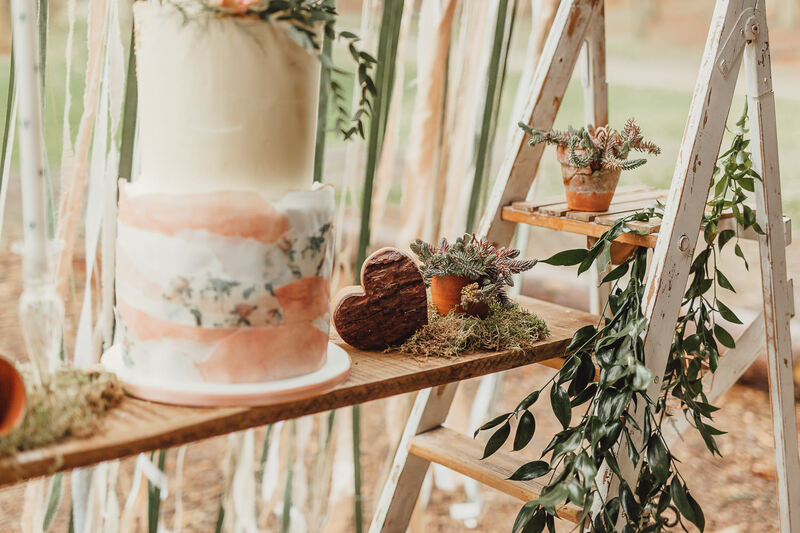 The final top tier is a semi naked cake finishing the cake with its final rustic touch. 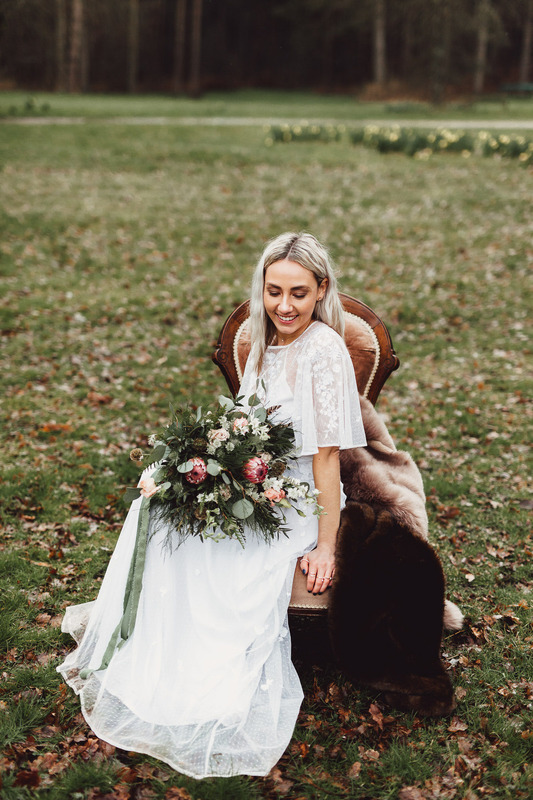 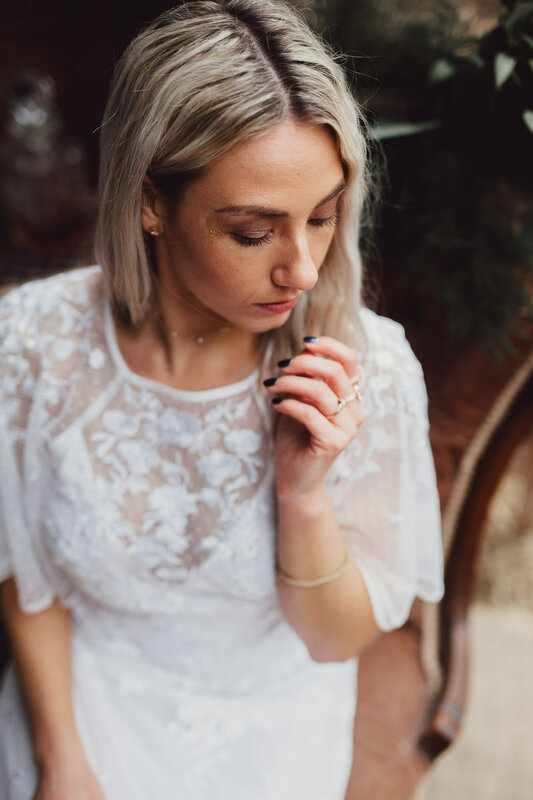 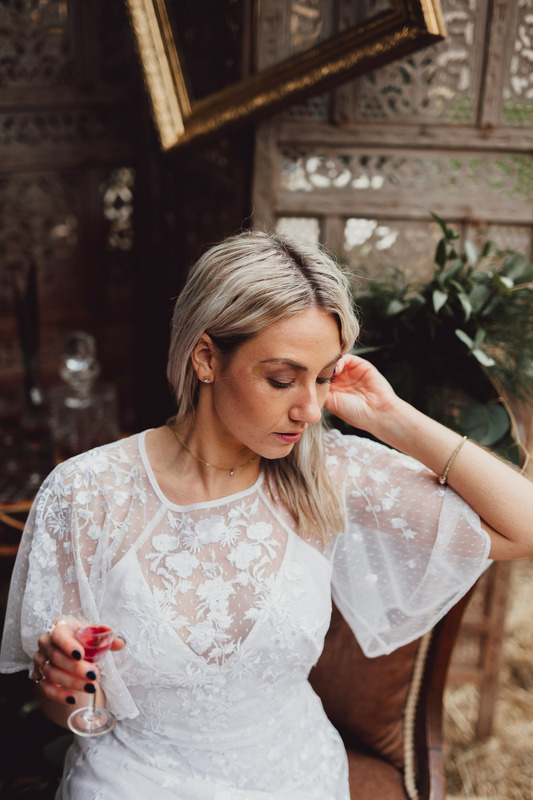 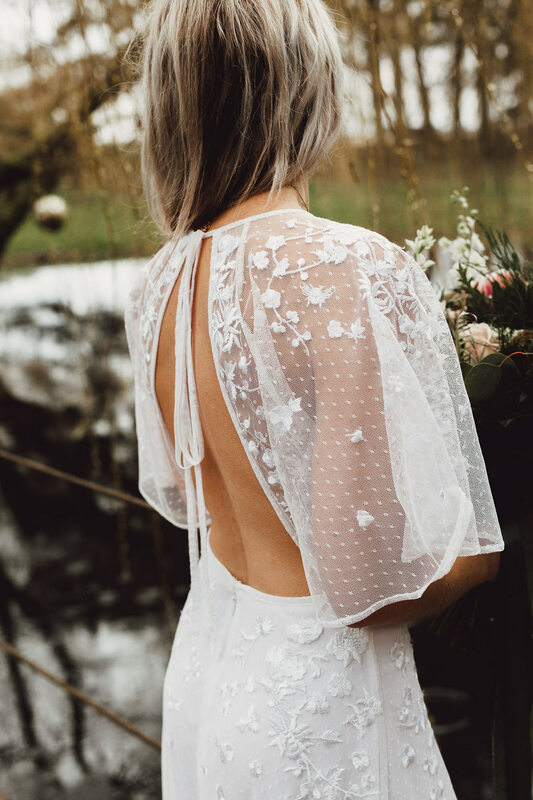 This was featured on Rock My Wedding in 2018 and is one of my all time favourite styled shoots from this year!